@ the Beach Hotel Byron Bay. Mick Buckley - drums. Baz sits in with the Purple Drippers at the Gympie Muster Rock 'n' Roll dance tent. Barry Ferrier (aka Barry Ferrier) is a Byron Bay based Australian musician, songwriter /composer and multimedia designer. One of rock music's most gifted singers, Roy Orbison grew up in Texas and worked in the oil fields, dreaming of music success. He was gifted with a clear tenor that soared into an angelic falsetto, later adored the world over. After a chance meeting with Johnny Cash, he was introduced to Sun Records by this new friend, and went on to enjoy a string of hits from the late 1950's through the mid–1960s. 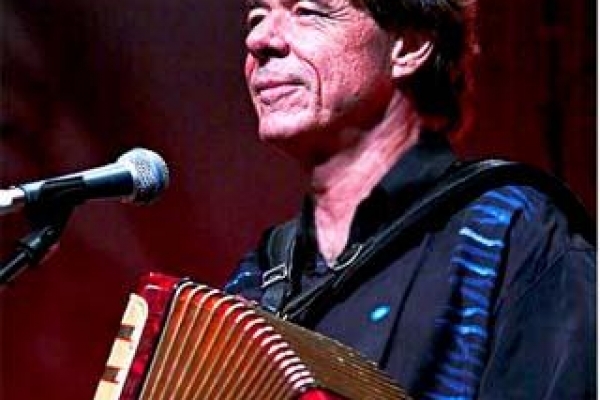 He moved between two music styles –– up-tempo rockabilly songs . . . and dramatic ballads of isolation and longing. He was a shy, staid, almost motionless performer, his mouth barely seeming to move as he sang his songs’ poignant and often painful lyrics, with his swept back pompadour (his almost white hair was always dyed black) and a mysterious aloofness behind his trademark black, thick-lensed dark glasses Just weeks before his death on Dec. 6, 1988, Roy Orbison told Rolling Stone magazine that he couldn’t sum up his life in a paragraph, but might be able to do it through his songs. "Parts of Crying, parts of Pretty Woman, too, and Running Scared. . . . Pieces of my songs would tell the story." After his career waned he made a huge comeback with the Supergroup "The Travelling Wilberries". Johnny Cash, the Man in Black, was a singer, guitarist and songwriter whose prolific music innovatively mixed country, rock, blues and gospel influences. Born in 1932 in Arkansas, Johnny Cash grew up on a poor cotton farm and joined the Air Force in 1950. He co-founded a band following his discharge, and within a few years Johnny Cash and the Tennessee Two had scored hits with songs like "Walk the Line." Cash's career was nearly derailed in the 1960s by a serious substance-abuse problem, but his marriage to June Carter and acclaimed album Johnny Cash at Folsom Prison (1968) put him back on track. In later years, Cash joined the country supergroup the Highwaymen and went on to release a series of award winning barebones solo recordings with producer Rick Rubin. He died of complications from diabetes on September 12, 2003. Roy Orbison first met Johnny Cash when they both performed live to air at a small Texas radio station - Roy was the lead vocalist with a rising local band who had won a resident spot on the show, while Johnny was in Texas with Carl Perkins to promote his first chart success "Cry Cry Cry". Johnny heard Roy sing and was so impressed he offered to help him get in front of legendary Sam Philips, the head of the iconic Sun Records, with the aim of securing a record contract. It was the beginning of a lifetime friendship, as the two men embarked on their unique individual wild ride to music stardom. For over a half a century they experienced a parallel journey through the highs and lows, the pressures of celebrity, personal tragedy, incredible success, disappointments and falures, come-backs and Super Groups, each attaining legendary status as towering figures of popular music, remaining close friends to the end. Johnny Cash was a wildman in his youth and with a deep, dark voice and a penchant for women, drugs and drinking there is no doubt he had a devil to deal with. Roy, with the voice of an angel was a different kind of man, and that contrast in singing style and lifestyle makes for a fascinating story. It is not widely known that, at the time of Roy Orbison's greatest personal tragedy - two of his three young sons were killed when his house burnt down while he was touring the UK - Johnny stepped in to help his friend who could not face returning to the scene of his loss, and he bought the property from Roy and preserved it as a tribute to these lost innocents. In a macabre twist, Johnny later built another house on the property and it too was consumed by fire. Thus this highly entertaining show weaves together two fascinating life stories and a series of wonderful songs which are amongst the most widely know and loved hit songs of popular music history. 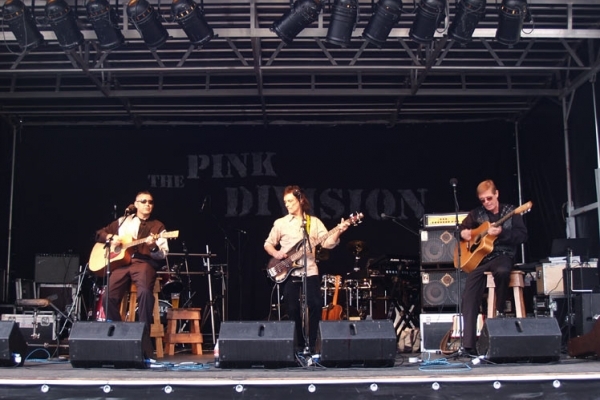 With both performers strong vocalists and possessing unique gifts as multi instrumentalists, this show can be presented with a cast of just two - with live musical backing (no fake backing tracks) - Slim plays double bass to Barry's highly skilled guitar in the Johnny Cash songs, and Barry plays drums & keyboards to Slim's guitar in the Roy Orbison songs. 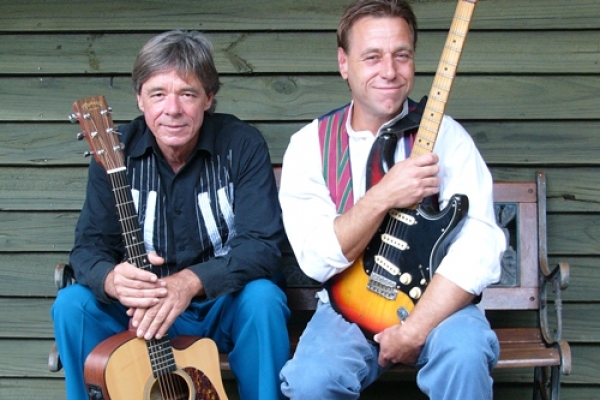 Byron Bay based musicians Barry Ferrier and Slim Pickens met in 2002 at the weekly open mic night at a hotel in the quaint rural town of Bangalow and immediately forged a friendship and creative partnership that has endured 15 years. 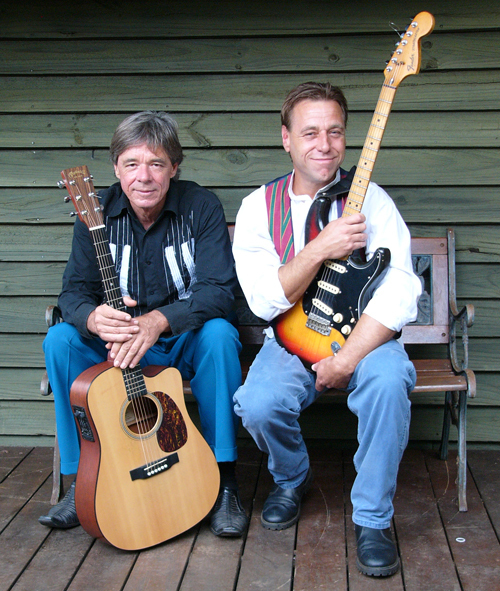 Throughout these years they have been performing their Ry Cooder style blues and roots music together as "Slim Pickens & Dr. Baz" and in this format they have played at the Byron Bay Blues Festival, Blues on Broadbeach Festival, the Tamworth Country Music Festival and the Gympie Music Muster, as well as hundreds of shows in pubs and clubs up and down the eastern seaboard and have released two albums, "Cactus" and "Next Time". 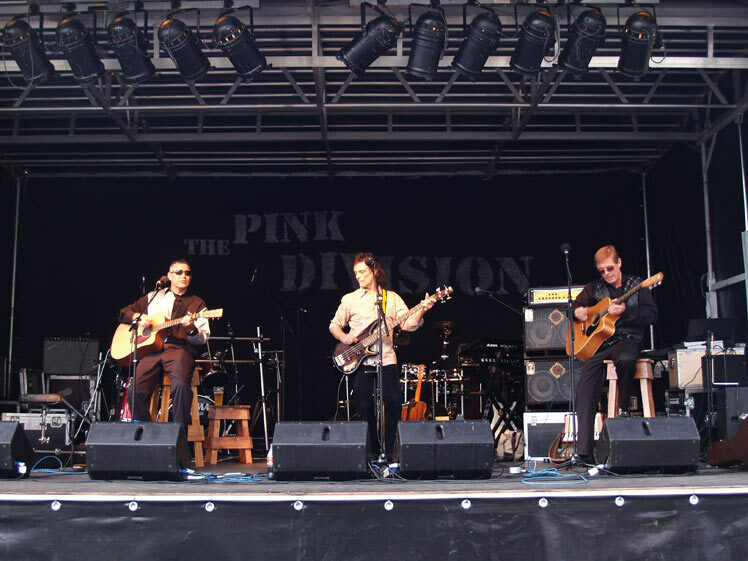 In 2005 and 2006 they travelled to Norway to perform at two festivals and clocked up over 60 gigs there as well as performing in London and touring Northern Ireland. 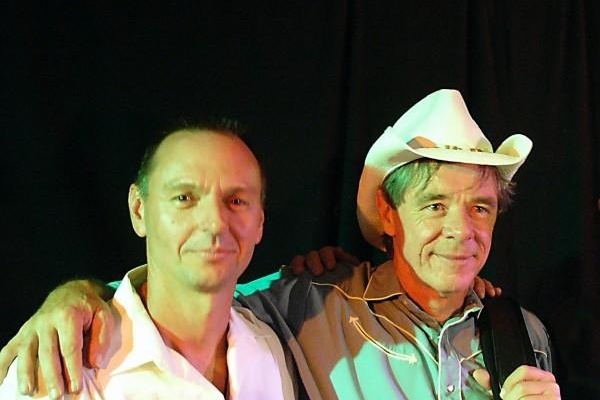 They have also worked together in the rockabilly showband "the Purple Drippers" performing at the Coolie Rocks Festival and the Gympie Music Muster. For the past few years Slim and Barry have enjoyed great success with a stage musical written by Barry on the life of Johnny Cash entitled "I Hear That Train a-Comin' : the Johnny Cash Story" which has recently returned from a sell out mini-tour, including shows at Darwin & Alice Springs Entertainment Centres, and acclaimed performances at some of the biggest venues in Sydney, (and also features their talented friends Ilona Harker as June Carter and Mark Heazlitt as Luther Perkins). Barry's ability to emulate the unique deep voice of Johnny Cash is mirrored by Slim's powerful tenor that soars effortlessly to the vocal range made famous by Roy Orbison. When they discovered that Roy and Johnny were life-long friends, it was just too tantalizing not to try to put together a new show that showcased this great story and their own friendship and equally contrasting voices. Thus was born a new musical tribute show that weaves together the amazing story of these two legendary performers in a fascinating journey through their epic lives and their repertoire of famous and widely loved songs. "We became like brothers, right from the start..... and it stayed that way right to the end." How many bands have I played in? The time when I could count them all is long past. 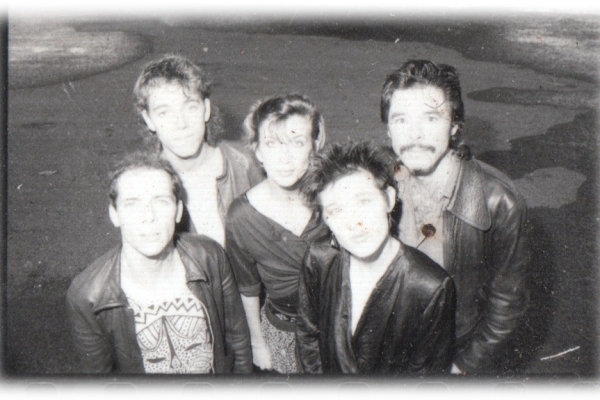 I formed my first band at high school with school mates Michael Edwards (piano), Leo Botham (Bass) , and Roy - name eludes me now (drums). We played instrumentals made famous by the Shadows and some of my early intrumental compositions influenced by these surf guitar hits. Later I answered an ad in the Manly Daily and, while still at school, landed a job as lead guitarist with a local rock band - I can't remember the name of the band now - and began playing at hotels while still underage, with my Vibratone guitar and a homemade guitar amp which once sent me flying across the room with electric shock. 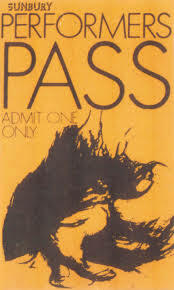 One vague memory from those teen years was supporting Masters Apprentices at Beacon Hill High School basket ball court. 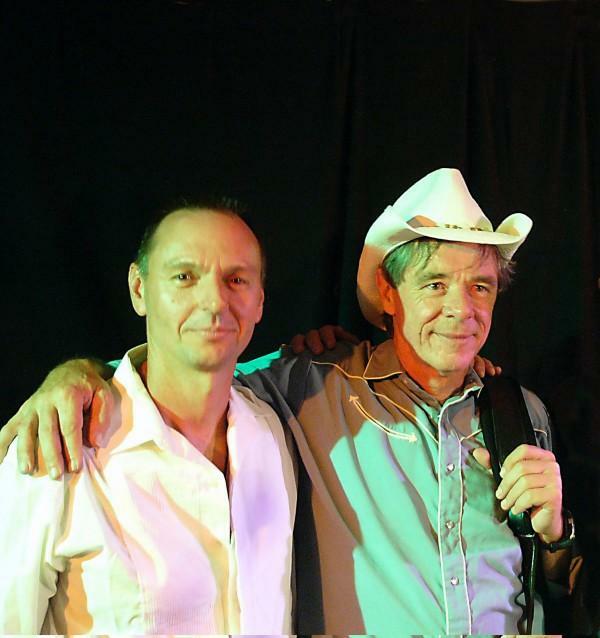 I met Sydney songwriter and UK ex-pat Roderick Morgan during my first year at the University of Sydney, who was a big influence on my songwriting and we began jamming together. I still jam with Roderick 40 years later when I visit Sydney. I was about 19 when I bought a Burns Bison from his friend Keith Grey. I was asked by a guy in my psychology class at uni to play at a concert at Hyde Park - it turned out to be a very large Christian gathering - an audience of thousands in the park - and that's were I met my future wife Cammie Lindon, who was headlinging the show, and another singer, who also became a lifelong friend, Malcolm Smith. After that meeting Cammie and getting together with her and Roderick, she would drop around to my terrace house in Chippendale in her school uniform for rehearsals. 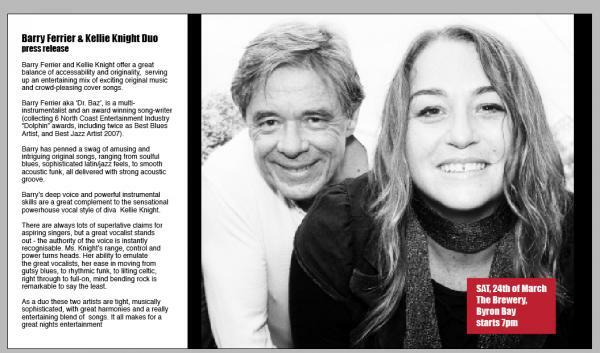 Cammie and Roderick I began performing at coffee shops and restaurants around Glebe. We played original songs and pop covers in an unplugged acoustic style, much influenced by the harmonies of Crosby Stills & Nash, and developed a love of harmony singing. 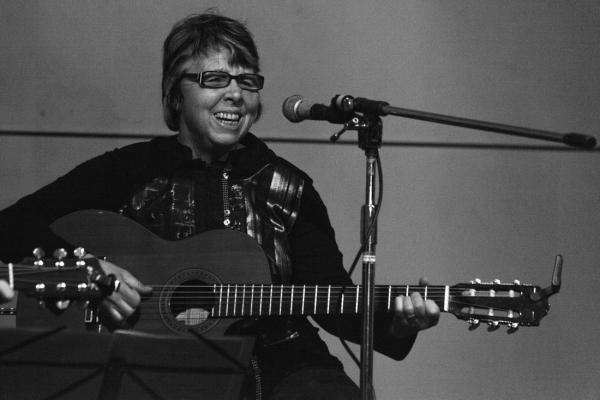 During my tour with Africa: the Savage Musical, she contacted me and sent me tickets to a Leo Kottke Concert at Sydney Town Hall, where she, at 16, had been chosen as support act - she sang two of my original songs in her set and I flew up from Melbourne to be in the audience. 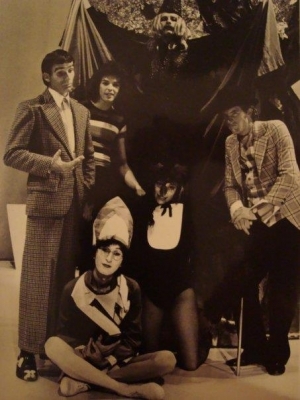 While working with the Lindsay Kemp Company in Melbourne on "Flowers" I joined two of the cats members of Africa: the Savage Musical" - Rod Freeman Smith & Glenda Lum to perform a madcap rock cabaret "Kabaratz" at the iconic Flying Trapeze Theatre Restaurant. It was there I met Colin Hay of later "Men at Work" fame. 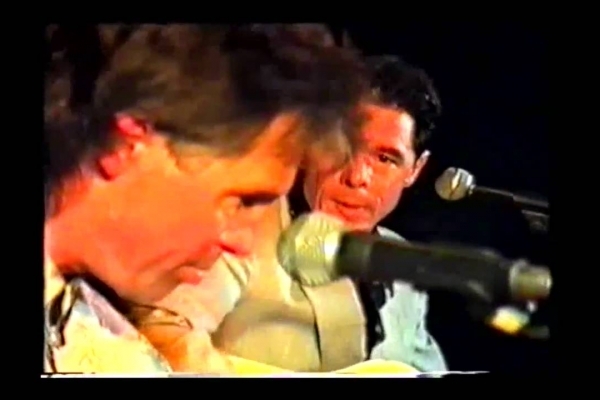 I performed with Colin at the 76 Sunbury Festival and he sang the lead role on my first demo of my Howson/Ferrier opera "Squizzy". 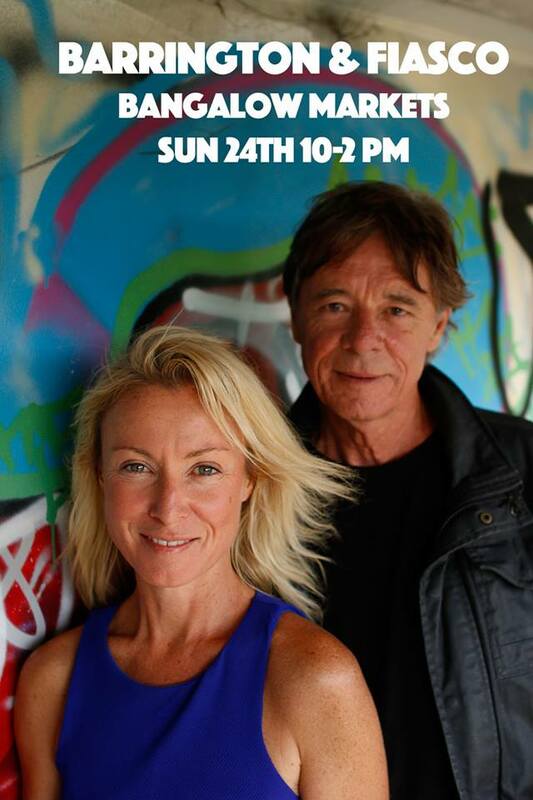 I met a talented unknown Chris Clark through Roderick and I began performing across Sydney in a duo with Chris, who coud do a perfect Paul McCartney impersonation, and we had a residency at Ali's Oasis in Birkenhead. Colin Hay came up to Sydney on my invitation and stayed at my parent's house in Dee Why and went to the audition for the musical "Ned Kelly" I had been offered by Faith Martin my theatrical agent in my place b ecause I felt already too committed to take up a role - and Colin won a role in that production. I remember one particular night during that period when he came to Ali's Oasis and I persuaded him to sing some songs - and his incredible voice drew people from who knows where - wthin a half an hourt the restaurant was full of people mes,erised by his talent. 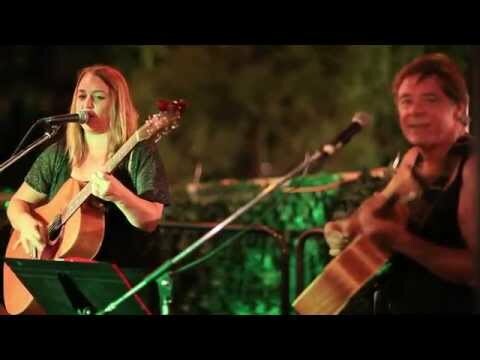 A few years later, Chris Cammie and I got together again with Roderick to perform "the Milky Way Cabaret" at the Flying Trapeze in Melbourne. 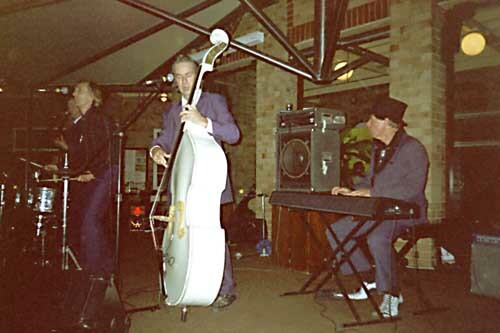 I also formed a band with Malcolm and a drummer named Alex which went on to back Phil Jones (of Phil Jones & the Unknown Blues and later Quintessence) as the New Quintessence., playing regularly at the legendary French's Winebar in Oxford Street and a whole range of gigs in Sydney & Newcastle. 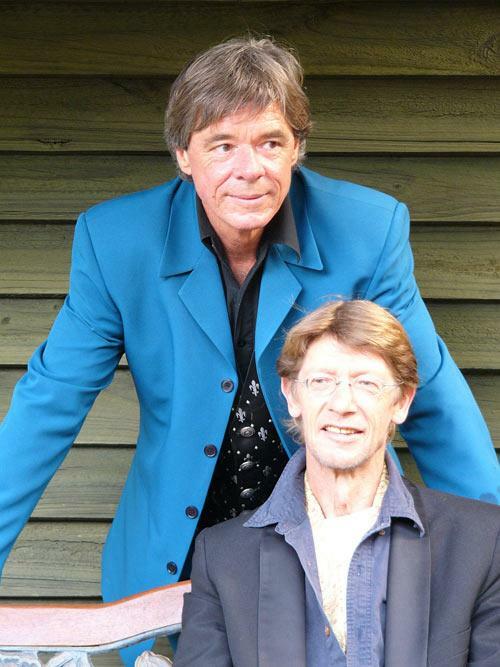 There is a vague memory of us backing Dobie Grey who was touring Australia in the 70s, at a Double J concert. I worked with Jeff St. John for two years. 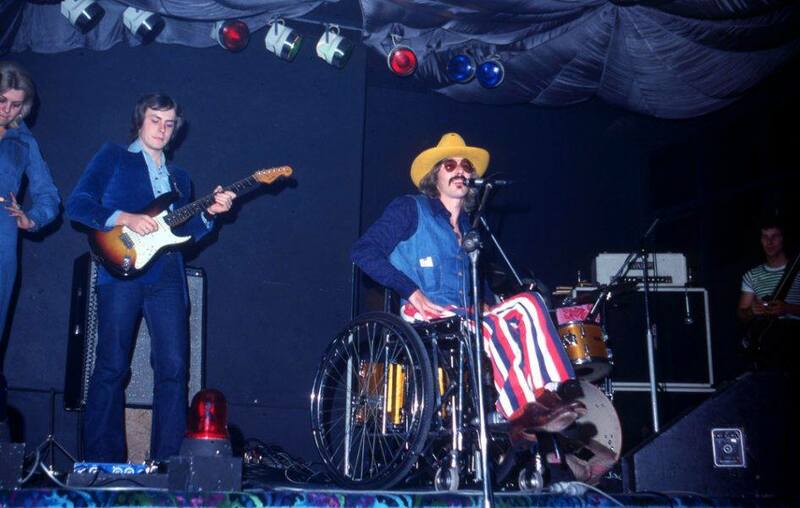 An astonishing vocalist who was disabled by polio and sang from a wheelchair with a powerful voice and dramatic fair, Jeff was highly competitive and would beat me at every game - cards, chess, scrabble when we travelled to overnight gigs in Newcastle. He would pick me up in his modified EH Holden station wagon with hand controls. 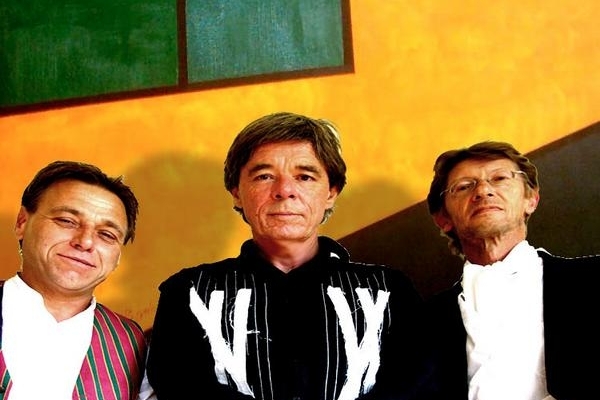 I had had brief stints backing John Paul Young and also Gordon Waller of "Peter & Gordon" fame, who was in Australia to play the Pharoah in "Joseph & the Åmazing Technicolour Dreamcoat" (I was a cast member). Barry graduated with a Bachelor of Arts form the University of Sydney majoring in Psychology in 1974. 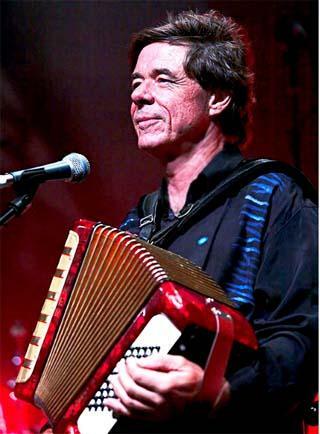 He completed a Diploma of Music Composition under Dr. James Penberthy and Richard Mills at Southern Cross University in 1984. 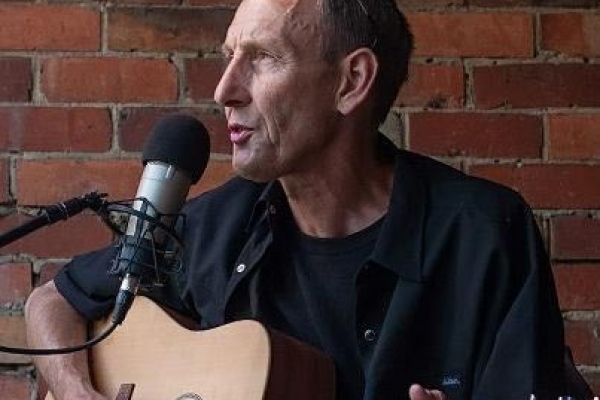 He began lecturing in Music Business and tutoring in guitar at Southern Cross University in the mid eighties and graduated with Bachelor of Letters (Honours) from Deakin University in 1987. 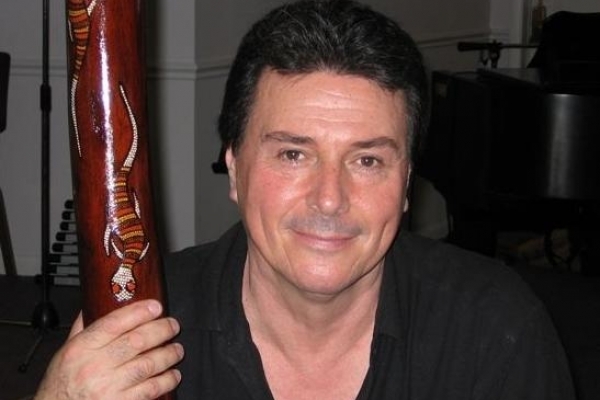 In the 90s Barry Ferrier was appointed Assistant Professor of Multimedia at Bond University on Queensland's Gold Coast, where he also lectured in the School of Film and TV in Video Production and Music Video. He has held lecturing positions in multimedia and music at Griffith University at Southport, Southern Cross University in Lismore and for three years at Central Queensland University. He has also taught multimedia and graphic design at Kingscliff TAFE for five years and the School of Audio Engineering in Byron Bay. 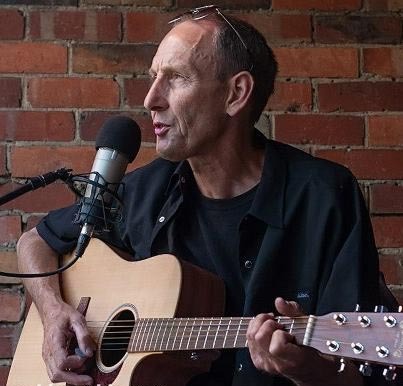 He began studying for his Doctor of Philosophy in music and Southern Cross University but two years work on his thesis was destroyed in a housefire in 1994. He later began a new PhD project focussing on the emerging multimedia art technology which he completed through Southern Cross University in 2007. © 2004 Barry Ferrier, B.A., Dip. Music (Comp. ), B.Litt. (Hons.). 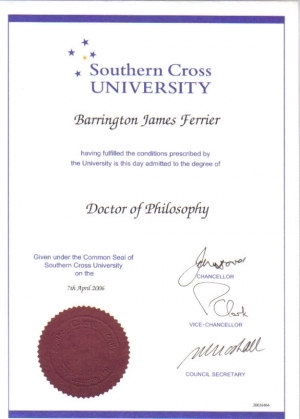 A dissertation presented to the School of Contemporary Arts, Southern Cross University, Lismore NSW, in fulfillment of the requirements for the degree of Doctor of Philosophy. June, 2004. Since the Doctor was asked to fill in for John Hill in the Byron Bay soul band "The Propellers", Doctor Baz has found a great connection with their frontman and highly respected Byron Bay based blues singer and guitarist Peter Claydon who is known widely as Pete C., (also frontman to the local legends "The Soul Shakers") . 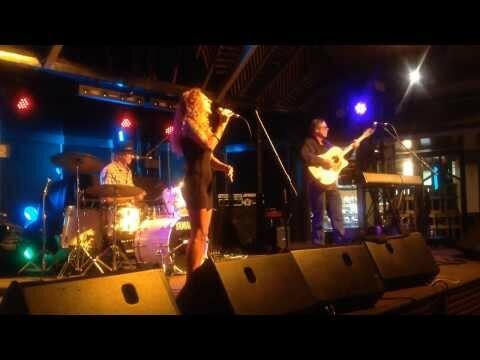 They hit it off so well they have gone on to form a unique blues duo and begun perfroming locally after a debut gig at the legendary Railway Froiendly Bar in Byron Bay. 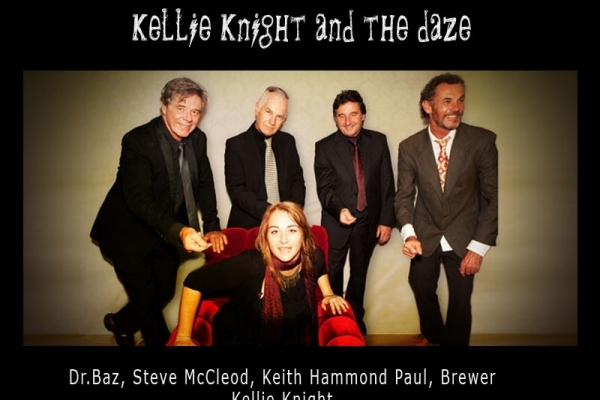 With diverse and mature music skills, powerful blues feelfeel and is a classy, and full bodied gritty sound they immediately shone with all the hallmarks of a classic blues outfit . 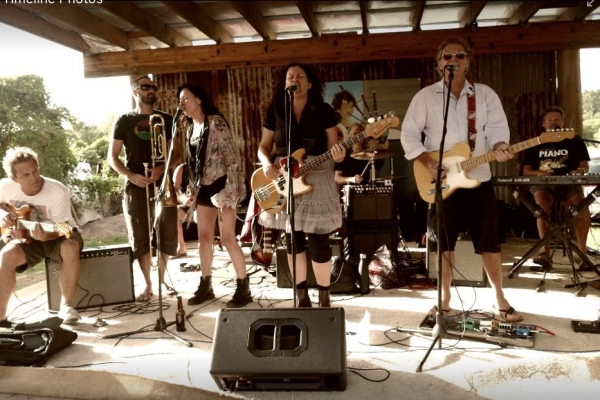 They kicked off with a residency at Mullumbimby ex-Serviceman's Club billed as "Acoustic Lounge Adventures" and have performed regularly at the legendary Railway Friendly Bar in Byron Bay. “KOBYA” (aka Carlos X Panguana) grew up in the African township in Maputo, the capital city of Mozambique, a country gripped by war for many years. He became the youngest member of Xingombela youth dance troupe at age of 7. After playing professional soccer as a teenager, he packed his bags and headed to Gauteng, also known as Johannesburg or city of gold, in South Africa, to join his other family members. As he had damaged his knees playing soccer, he joined the fashion world and studied photography. The struggle for the right to be recognized as a human being intensified as the South African government imposed a state of emergency. KOBYA had no other choice but to join the struggle as freelance photojournalist and reporter. He was later forced to flee as a political refugee. Music remained his lifeblood through out the journey. He is evolved into a gifted performer singer song writer and versatile multi-instrumentalist, In his unique and vibrant music he mixes roots (Marrabenta Mozambique Popular dance Music) & classic reggae, occasionally throwing in some lovers rock, to create his own original blend of contemporary world msic and pop. He tells his story with grace and ebullience, covering social and environmental issues, love, war and the despair of his fellow Mozambicans... while celebrating life. The salt of the Earth journeyman, KOBYA learnt how to abstract his craft turning pain to joy. This amazingly down to earth, warm character combines his sense of humor with powerful soulful and rich tenor voice, to reach out his young and old fans across race, age and culture. 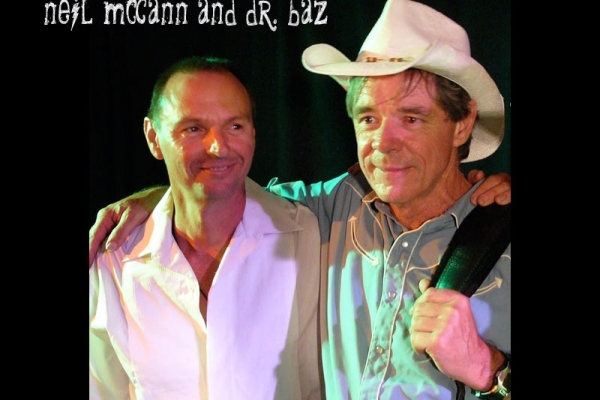 In recent years he moved to he musical Mecca of Byron Bay, Australia and at a local anti-CSG rally he met a kindred soul in the fellow musician and celebrated local character Barry Ferrier, aka Dr. Baz. 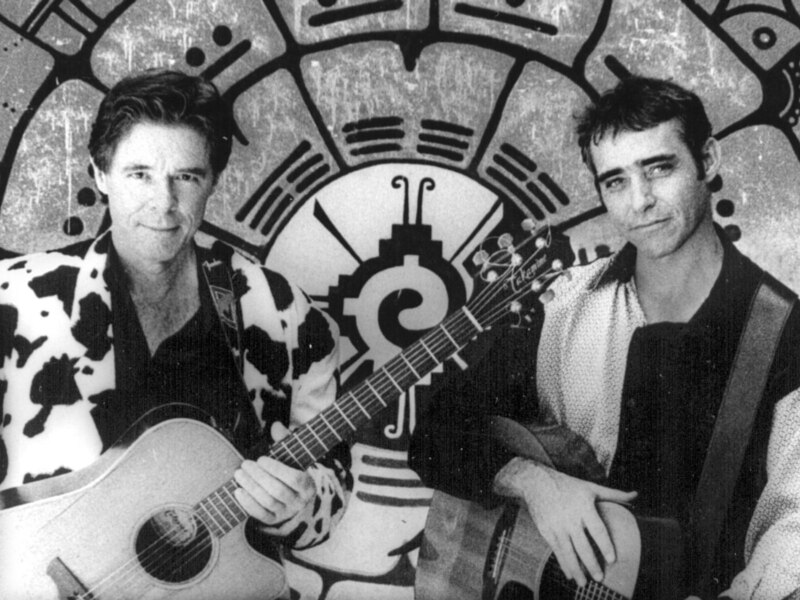 Their instant rapport led to a spontaneous musical chemistry and firm friendship that set them on a path to create ecstatic fusion music together. 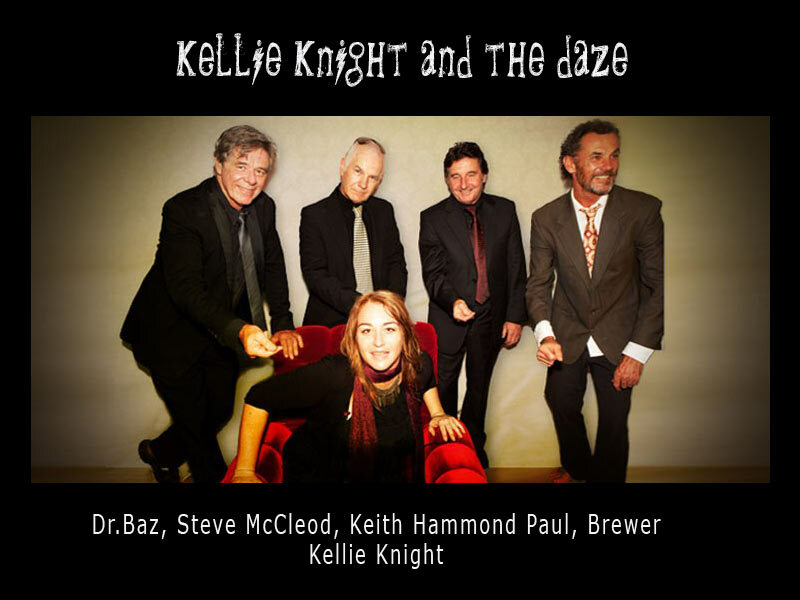 Dr. Baz has a pedigree of top level music credits and brings soarng lead guitar and keyboard pyrotechnics and a soulful musical feel to their exciting shows. These two men from such different worlds demonstrate through their obvious affinity and camaraderie how music can be a bond that transcends cultural barriers. 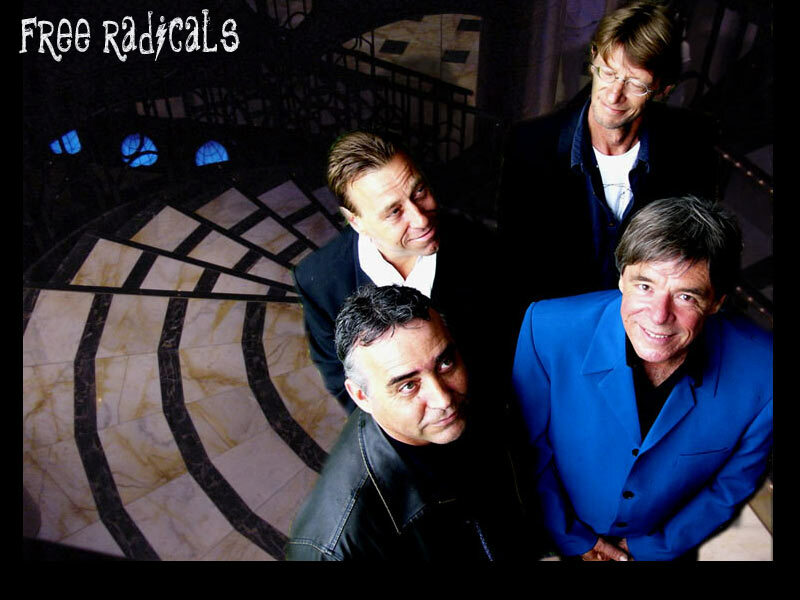 Their music puts a smile on your face and makes you want to sing and dance! Kobya continues to explore and express his soul on this musical journey, he is currently working on a new album 'MoFyah' dedicating his work to the Highest Force, giving thanks through his lyrics as a free man & advocate of Truth, with the collaboration of Dr. Baz's wizardry on soaring guitar and keyboard pyrotechnics. 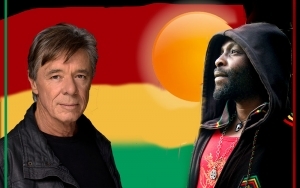 This fascinating World Music and reggae duo performer with a dynamic rhythm section and dynamic guest players, drawn from the impressive ranks of the Byron Bay music community. TWO SONGS ARE AVAILABLE AS A SAMPLE (ABOVE IMAGE) .PLEASE CLICK MP3 player. B.J. Ferrier has academic, multimedia production/design and performing arts/music strands to his CV. The version presented herein is a complete chronological list of work experience. Southern Cross University, Lismore, N.S.W. Supervisor: Dr. Michael Hannan, Head of the School of Contemporary Arts, S.C.U. Major: Performing Arts (Theatre Directing). Honours thesis was a study of the technical, performance and cultural issues involved in the mounting of a major Qld. 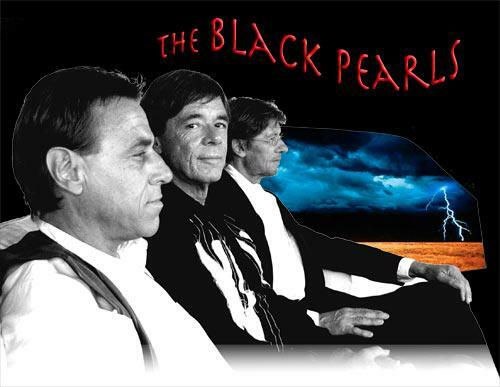 multimedia/theatrical production aimed at tourists, depicting the Australian Aboriginal Dreamtime, entitled ‘Dreamtime People", for which author was also score composer/audio designer. Major: Composition. Studio-based, equivalent to undergraduate degree. Teachers were the eminent Australian composers Dr. James Penberthy and Richard Mills. University of Sydney, Sydney, N.S.W. Minors: Philosophy, Anthropology and Economics. Lecturer, Video Production 1; Camera, lighting, sound, script development, production; non-linear editing using Adobe Premiere, and Speed Razor. · Facilitator, LearnScope Project (an Australian Flexible Learning Community initiative, funded by A.N.T.A.) focusing on the development of dynamic online collaborative learning experiences, using simple web technologies to facilitate distance learning and collaborative on-line design projects. Golden Reel Award for Community Radio; "Bushfire Radio" for Central Australian Media Association, Alice Springs; produced 20 half-hour radio broadcasts featuring songs and music. Twice winner of the Dolphin Award for Blues; 1995 and 1996 North Coast Entertainment Industry Awards. 2017-2019 Marketing Manager for Enhanced Energy Recovery, and for the Public Group, producing logos, business cards, websites, brochures, powerpoints and corporate videos. Continued pperforming as a soloist. 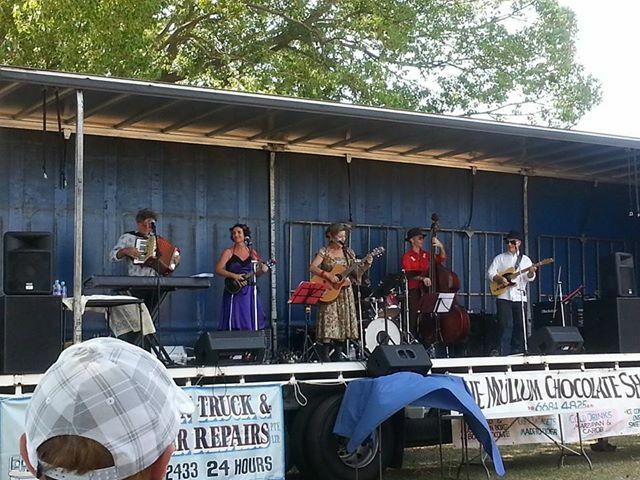 Performed at the Splendour in the Grass Festival. 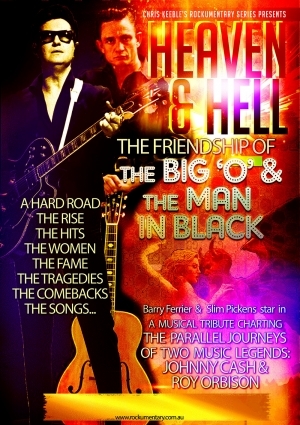 Wrote and performed "Heaven & Hell: the Friendship of the Big O & the Man in Black". Partner in Australian Organic Network Pty Ltd and began farming certified organic ginger & turmeric as Byron Bay Organics. 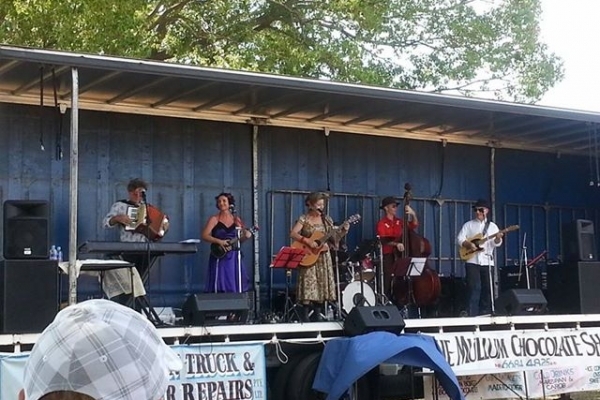 2007-2016 Ongoing performances as musician entertainer in hotels and clubs of the North Rivers NSW and SE Queensland/Brisbane; average 100 performance per year; in the groups Snapshot (commercial pop duo in an 'unplugged' style); Slim Pickens & Dr. Baz (delta blues and cajun); Kellie Knight Band (performed at the Byron Bay Blues Festival and in duo with Kellie at the Adelaide Fringe Festival); Aysha & Dr. Baz (performed at Splendour in the Grass Festival). 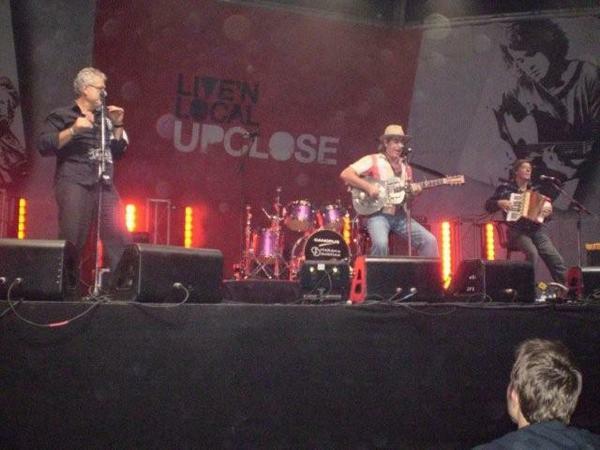 2015 Airlie Beach Music Festival with Fiona Walsh; 2015 Gympie Music Muster with "I Hear That Train a-Comin' : The Johnny Cash Story". 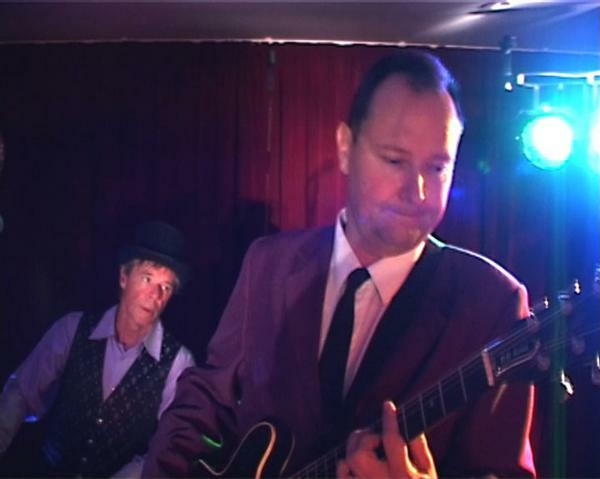 · Produced CD album of original compositions for Gav Hamilton, entitled “Boogietown”. 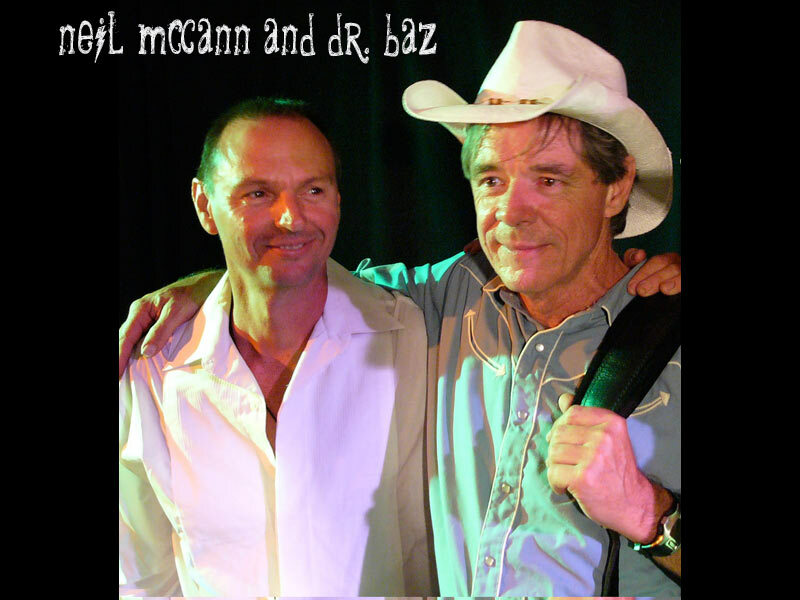 · Collaborated on CD album entitled “Cactus” for “Slim Pickens and Dr. Baz”. 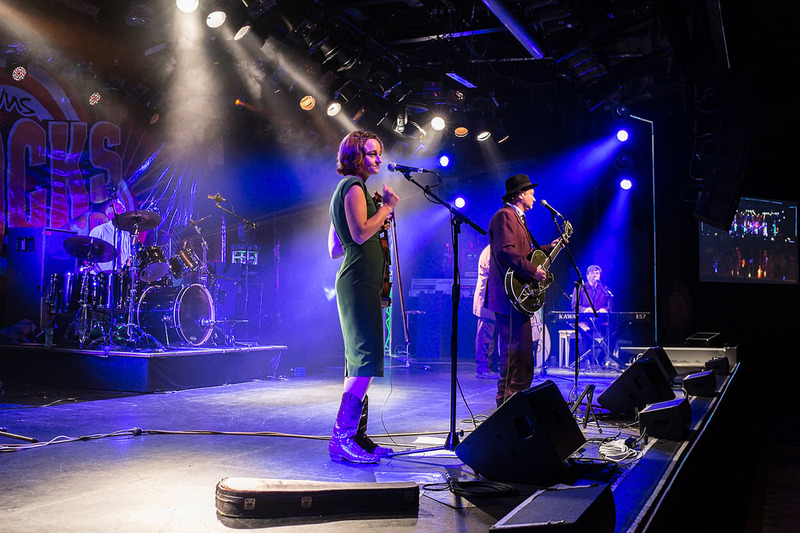 · European Tour, with performances in Norway and Ireland, and a headline performance at the Sjyrock Music Festival, Vaeroy Norway, performing delta blues as “Slim Pickens and Dr. Baz”. · Completed web-site for Organic Fish Australia, Pty Ltd.
1998-2003 The Little Gallery, Maryborough, Qld. Commissioned to create 4 x20-minute hour video animations using digital special effects techniques to create 'Take Your Space Now: a healing journey through colour and sound'; based on 60 oil paintings by the artist 'Duane'; (to be released on DVD later in 2004); produced promotional web-site and designed product packaging. Click here for more info. 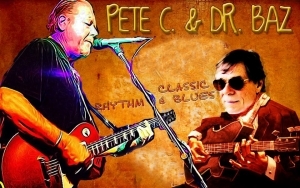 · Performed at the prestigious international East Coast Blues Festival, Byron Bay, performing delta blues as “Slim Pickens and Dr. Baz”. · Corporate video for Prosperity Seminars, Australia (Brisbane). · Producer, camera, editor & sound design for 1 hr documentary video entitled “Red Gold”, on the history of the red cedar industry on the NSW Far North Coast and recent experiments in cloning (now in post-production). Commissioned to make a documentary on a health & education project run by 5 community artists among young Tiwi Islanders, to help combat youth suicide. This project included shooting and editing a half hour television segment on a daily basis for 6 weeks, which was broadcast nightly on the Bathurst Island Community TV network. (Click here for a slideshow of images of Tiwi life and art, captured during this project). commissioned to produce a video documentary of the "Young Drums" tour to Scotland to perform at the Aberdeen International Youth Festival. commissioned to design a set of 120 collectable cards entitled "Hemp DownUnder" for the makers of the Australian Cricket Board cricket cards. Click here to view. designed and implemented website collating information for the Young Drums fund raising efforts towards the Aberdeen Youth Festival tour. Click here for profile. 1997 North Coast Entertainment Industry Association, Lismore, N.S.W. 1997 Humble Pie Co., Billinudgel, N.S.W. 1997 Chincogan Fiesta Committee,Mullumbimby, N.S.W. commissioned to produce a documentary of the 1996 Chincogan Charge (cross-country endurance race) and the annual street parade. 1996 Tangentyere Aboriginal Council, Alice Springs, N.T. 1996 North Sydney Council, Sydney; N.S.W. commissioned to use digital media technology to produce images based on aboriginal rock art, which were etched into aluminium plaques and are displayed as the final images in the Berry Island foreshores nature walk known as "The Gadyan Track". Commissioned to re-record a contemporary version of the Pitjanjatjara Land Rights Song in communities through the Pitjanjatjara Lands and make a documentary video of the process, as a health & education initiative, celebrating the unique Central Australian lifestyle. http://www.atns.net.au/biogs/A000304b.htm ; See images of the Pitjantjatjara lands here. 1996 Shane Warne, Swann Sport, Melbourne, Vic. 1995 Hughes Engineering, Ballina, N.S.W. band-leader & guitarist for legendary vocalist and cabaret artist Eartha Kitt (“Catwoman” from Batman TV series), including the nationally televised performance at the Gold Coast International Jazz Festival, & performances at Perth & Canberra Entertainment Centres & the State Theatre, Sydney. Visit http://www.usca.edu/aasc/kitt.htm for a profile of Eartha Kitt. 1995 Adult Community Education Inc., Lismore, Coraki, N.S.W. 1995 Young Drums Inc., Lismore, N.S.W. shot & edited Young Drums music video entitled "Chinatown"; edited live concert footage shot by ABC of their performance of "Thus Spake Zarathustra" at Brisane's Piazza. Click here to visit Young Drums web-site. Band-leader and guitarist, accompanying guitar prodigy Nathan Cavalieri. commissioned to compose an opera entitled "Squizzy Taylor" which went into production as a feature film; Boulevarde Films subsequently was bankrupted through embezzlement and the project abandoned. The opera still exists in manuscript & demo tape. Click here for short account of the macabre life Squizzy. 1994 "Dreamtime People", Sanctuary Cove Theatre, Qld. 1994 LightWing Industries, Ballina, N.S.W. Compose and record music score, plus foley and sound editing for the film "Moments of Cruelty" dir. Guy Morgan; prod. Colin Oddy. 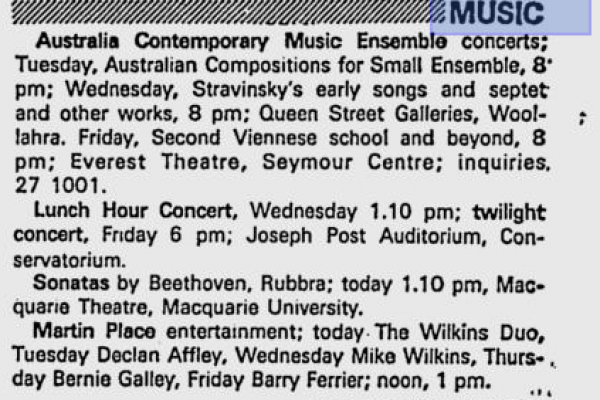 1991 Catholic Music Teachers Association of N.S.W., Cabarita Beach, N.S.W. Composed music for 5 joint productions between Q.P.A.T. and the Kite Theatre Company : the award winning "Solomon and the Big Cat"; "Whose Beach is it Anyway?" (toured nationally); innovative music technology based "Kris Makes a Machine"; "Sounds Good"; "The Day the T.V. Busted"
· A series of public workshop/lecture/demonstrations of state-of-the-art digital music and video technology, featuring sampling of body percussion with audience participation, live video with digital special effects, triggered by audience-composed music; one lecture was broadcast live with phone-in feedback / participation, on statewide T.V. · developed and conducted a series of music/video workshops for the disabled, and another series for terminally ill teenagers, composing music in a group using MIDI percussion triggers, and sampled sounds to tell stories; digital music and live video effects allowed for creation of "instant" video clips with positive body image and life experience outcomes. · developed and conducted workshops for a small group of leading Brisbane young composers in compostion techniques using the Fairlight C.M.I. 1988 Brisbane Expo' 88, Brisbane, Qld. Commissioned to produce an “art video” to be projected on a giant screen on the Expo’ Riverstage, as a visual complement to the UNESCO International Youth Orchestra's performances of Gershwin's "An American in Paris"; (collaborated with Paul Rainsford Towner). 1988 N.T. Arts Council, tour of remote communities, N.T. 1987 Central Australian Aboriginal Media Association, Broome, W.A. 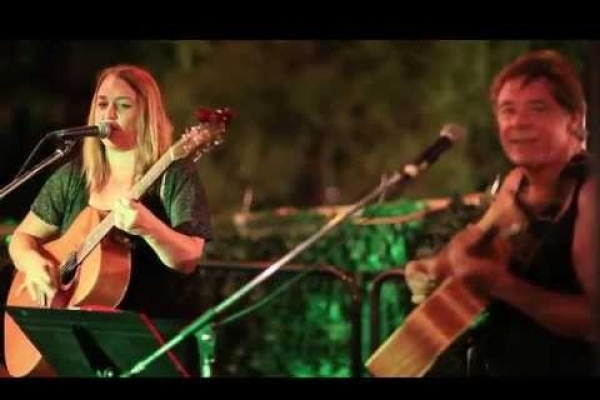 Recorded traditional and contemporary aboriginal music of the Kimberley region. Artists recorded included "Scrap Metal" (featuring the Pigrim brothers) and 'demoed' the songs of Jimmy Chi which eventually became the hit stage show "Bran Nue Dae". 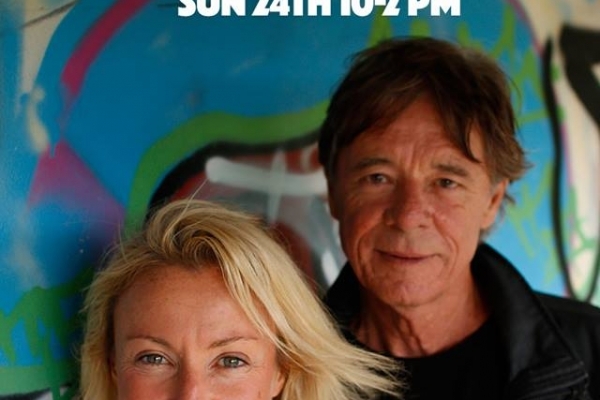 www.caama.com.au/. innovative professional rock band; toured N.S.W. 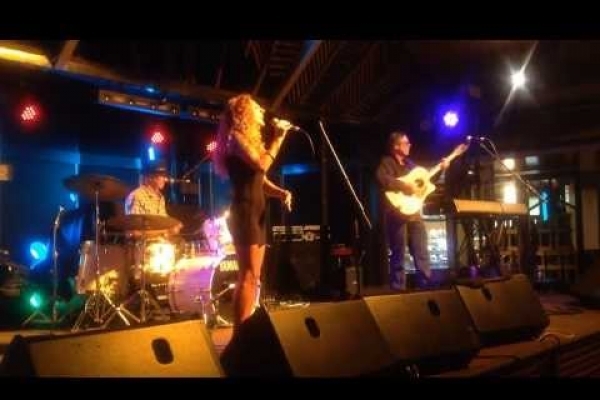 ; support artists for leading Australian contemporary music acts including Cold Chisel, Black Sorrows, Divynals, Dragon, Goanna, Icehouse; produced a large body of experimental music videos; music video "Much More" broadcast on A.B.C. "Rage"
1985 "Dreams and Machines" Vols 1 and 2, Byron Bay, N.S.W. Composed & edited sound for "Sinbad the Sewerage Sailor"; a light-hearted documentary for schools, explaining the contemporary approach to waste treatment; directed by Paul Rainsford Towner. 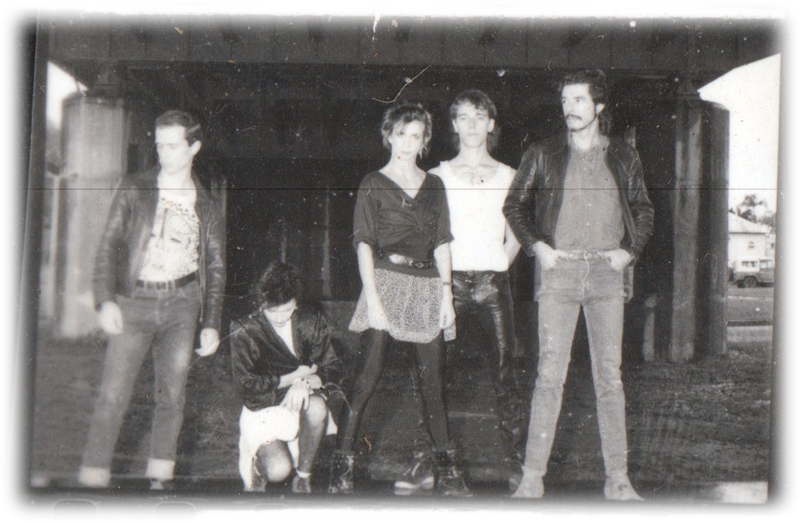 1982 N.S.W. Education Department, Lismore, N.S.W. 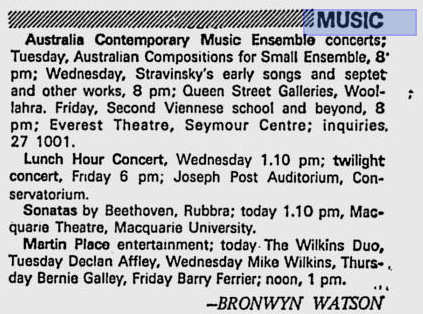 Composed soundtracks for video program distributed to schools, entitled "This is Australia Today"
1982 The Palms Theatre Restaurant, Bangalow, N.S.W. 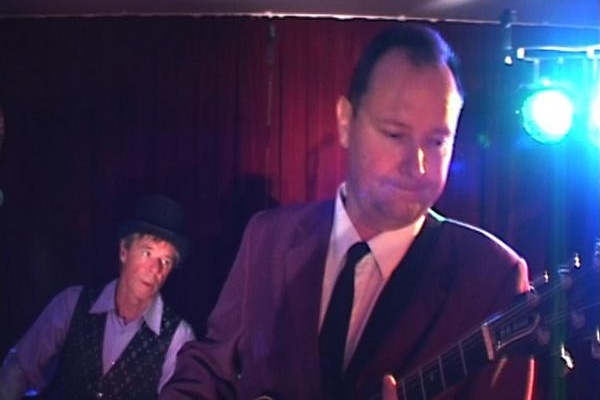 wrote and directed the season of "It's No Picture Show"; starring Barry Ferrier, Rodney Gooch, Glenda Lum, Gerald Frape. 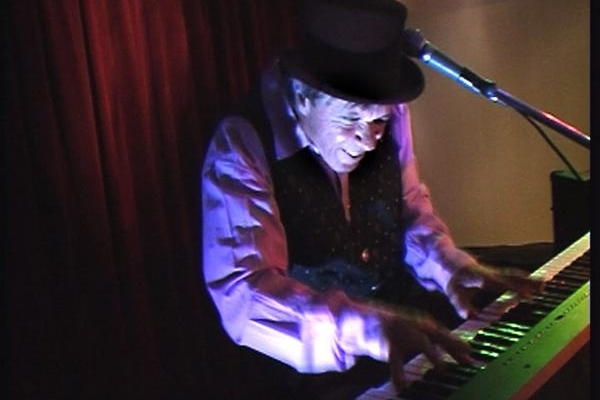 · television appearances included Molly Meldrum's legendary "Countdown" and the Ray Martin Midday Show. 1978 Australian Broadcasting Commission, Sydney , N.S.W. Composed recorded & produced music for ABC Radio drama's production of " The White Bird"
Composed incidental music to the production of Anthony Schaffer's "Whodunnit?" Composed the innovative quadraphonic electronic score for Kemp's "Salome"; this score described by the London Times as "thrilling"; 18 month sell-out season at London’s Roundhouse. (Collaborated with Andrew Thomas Wilson). Click here for a profile of Lindsay Kemp. York Theatre, Seymour Centre, Sydney, N.S.W. Toured as bass guitarist with No. 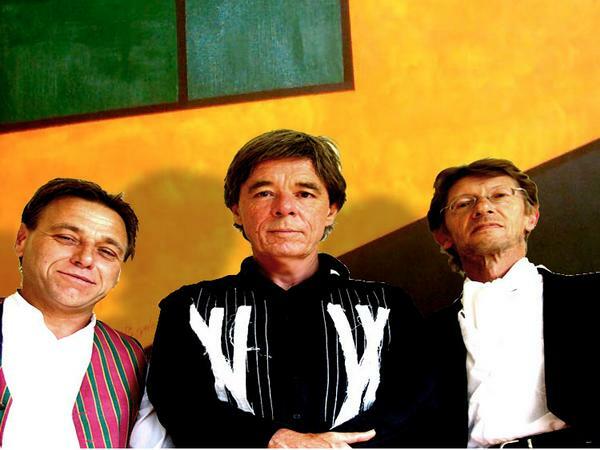 1 charting pop group, former members of the original "Jesus Christ Superstar" cast. co-wrote and performed in the ensemble production of experimental theatre/cabaret show "Kabaratz" ; wrote and directed the season of "The Milky Way Cabaret Show" which later toured as "The Silent Scream Show". Experimental mixed media production with projections and sound collage. played an Apostle, and worked as utility understudy for minor parts including Peter, Caiaphus and the Pharisees etc, thus enjoyed a stage apprenticeship playing a different role most nights. 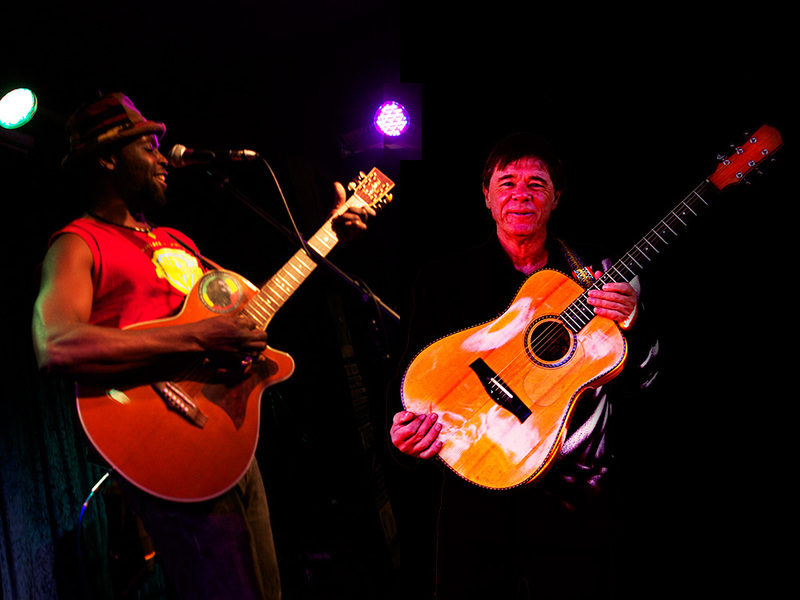 2JJ live concert appearance; MD for Dobie Gray (of "Drift Away" fame); band leader/guitarist. 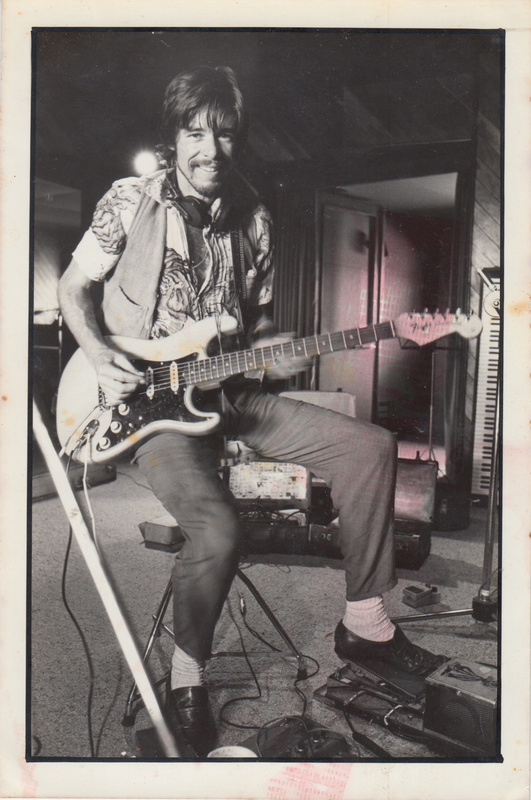 performed as guitarist with Colin Hay of "Men at Work"
1972 Australian School of Radio & Television & the A.B.C., Sydney, N.S.W. 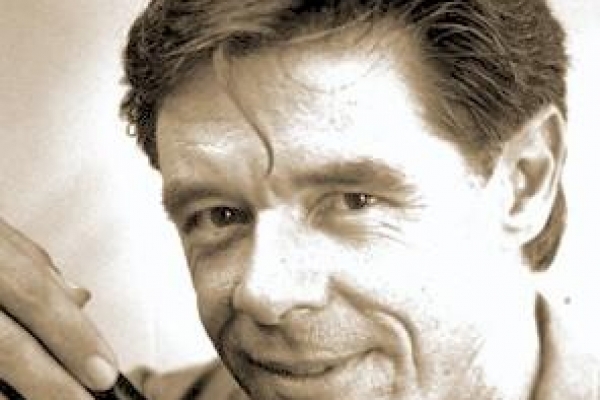 Barry Ferrier met playwright and later film maker Frank Howson in the cast of Jesus Christ Superstar through a mutual acquaintance with opera singer Peter North who played Caiaphus in the show. They first collaborated on the childrens rock musical "The Faraway Land of Magical Frank". 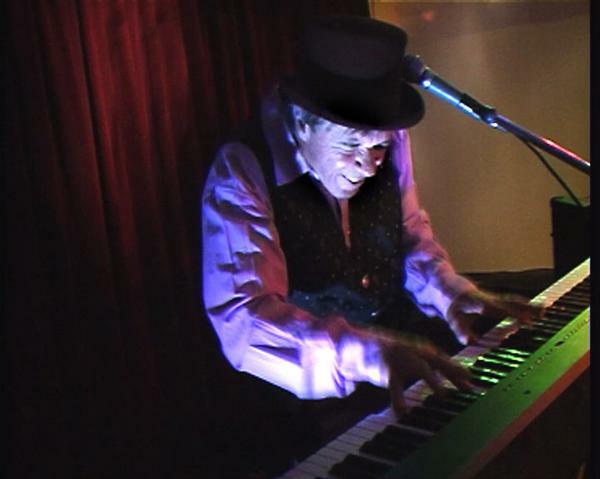 Frank Howson submitted the demo tape (which Barry made with Billy Miller later of the Ferrets fame, Shayna Stewardt - known for her work with the progressive rock band the "Tully", and other cast memebers and musicians form Jesus Christ Superstar, which was recorded live on a two track TEAC at an old house on the harbour at Manly) to Alberts Productions in Sydney and it found its way to the desk of the head of classical music Dr. Franz Holford. A distinguished figure in Australian music, Holford saw great merit in the musical compositions and took on the project with a passion. In what was a very unusual move for the staid Alberts classical music catalogue, the company began recording an LP album of the music. The featured singers were Billy Miller as "Magical Frank", Arthur Dignam as "Merlin", Reg Livermore as "the Owl", John Paul Young as "the kid' and Shayna Stewart as "the Princess", with Barry and Frank also playing cameo roles. 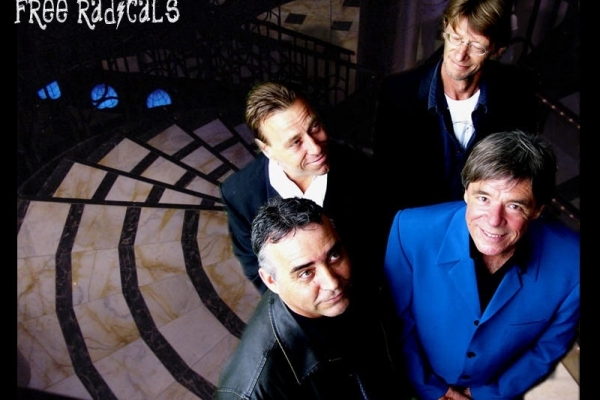 CEO Ted Albert, who as a teenager had been the engineer on the Easybeats recordings, took time out from his huge commitments heading up the Alberts Music corporation to take a personal interest in the project and took on the role of recording engineer with Barry Ferrier producing. Ted Albert and the very young and inexperienced Barry Ferrier formed an unusual friendship from hours in the studio together, and Ted began mentoring Barry's career for a short while, till historical events changed the course of this project. The album was completed including the cover art but at this crucial point Alberts were swamped by the huge success of AC/DC and shelved all the projects they had in hand as tax writeoffs as the rallied to meet the challenge of having such a world wide mega success on their hands. The album was never released and still languishes in their vailts, Ted Albert having died prematurely from a life long heart issue. 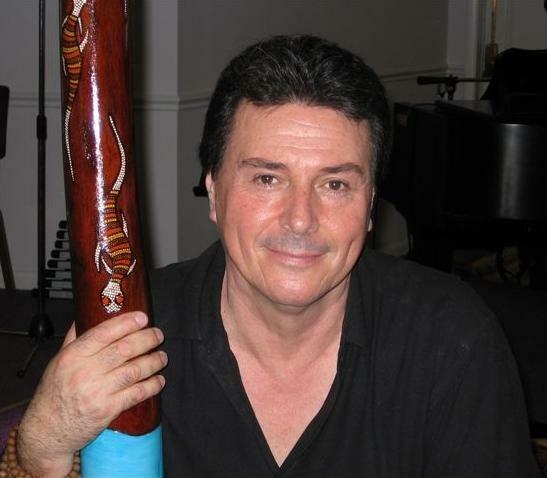 Frank Howson secured a season for the musical at the Total Theatre in Melbourne and the show was performed for a six week season with the Ferrets supplying the musical backing, actress Lisa Peers as the Owl, Graham Matters as Frank, Frank Howson as the narrator and Bill Binks and Tommy Dysart (both cast members of the original Jesus Christ Superstar) also appearing. Because of a contractual dispute that erupted between Frank and a potential venue, Barry also wrote, in record time, the music for a second children's musical with Frank's libretto entitled "The Boy Who Dared to Dream". 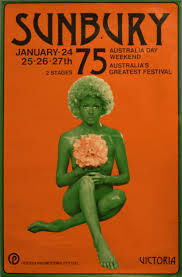 This was later recorded by Crest International featuring the voices of Trevor White (Jesus in Jesus Christ Superstar), John Waters, Brenda Kristen, and Barry Ferrier and it too was performed for a season in Melbourne. Barry and Frank also collaborated on a jazz opera based on the life of notorious melbourne underworld figure and ganster Leslie "Squizzy" Taylor. 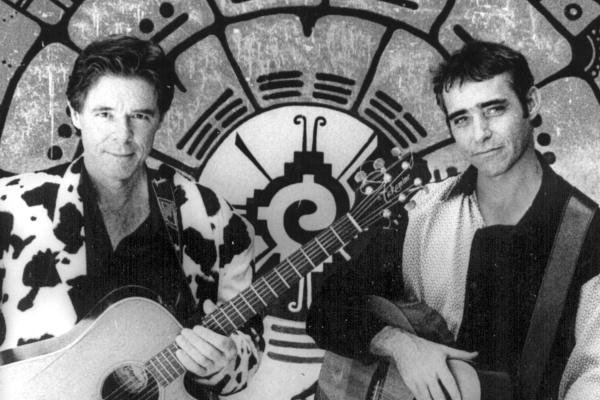 The original demo featured Colin Hay of Men at Work as Squzzy and Frank secured an album deal with Mushroom Records which was to star Wendy Matthews and John Paul Young. 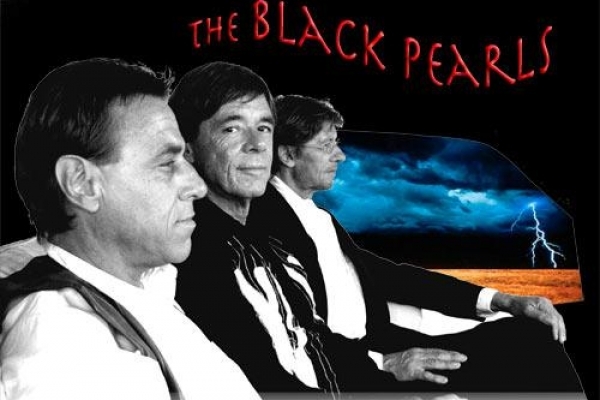 The pre-publicity for the album during the 10BA tax period for film making turned out to be a mistake as a movie on the same theme was rushed into production which scuttled the Howson Ferrier album project. In the 90s Frank secured funding for a film version of the opera, and a second demo was made of an updated version which Barry Ferrier also was using as a PhD project. The project seemed to be jinxed however, - a housefire destoyed these recordings and simultaneously Frank's film company was driven into bankruptcy through the embezzlement of funds by a director and the project stalled for a second time. In 1975 I auditioned for a production of "Joseph & the Amazing Technicolour Dreamcoat" to be staged at the, then, 'brand new' Seymour Centre, in Sydney. I flew up from Melbourne for the audition arannged by my agent Faith Martin, and just 'scraped in' to the show as chorus understudy... and when the show opened spent a few frustrating weeks having to be there for the call - but not appearing, till finally someone left and I joined the cast full time. Director Rufus Collins, really impressed me, a gentle African American with gold rimmed glasses, a soft voice but a quiet confidence. He went on to become an eminent actor, known for The Hunger (1983), Shock Treatment (1981) and Saving Souls (1995). He was also influential in introducing Black Theatre to Europe. He died in1996 in Amsterdam, Netherlands. Rufus visualised the show as a cartoon and he had 5 tons of pure white river sand installed as the stage. which guaranteed the physicality of the show. It starred a young Mark Holden as Joseph, who had won Starsearch (the 70s equivalent of Australian Idol) with his golden voice and boy next door looks, but was yet to throw roses as a pop star. We became firm friends for a while and I used to travel with him from Manly to Redfern each night in his yellow Mini Minor. I went on to work with Mark on an ABC radio play he was producing called the White Bird, for which I was recorded improvising on a variety of exotic instruments including a zither and bamboo flutes. I went on to understudy the eminent and charming Arthur Dignam's Potiphar, but never got to perform the role except in rehearsal. It was highly physical romp with twelve brothers (including the burly Joe Dicker, Paul "P.J." 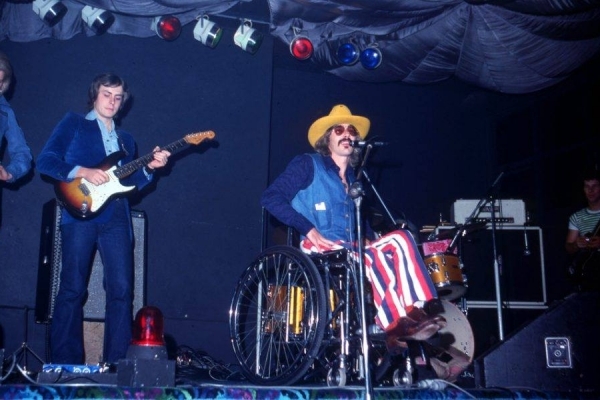 Johnstone, Robert Forza to name a few) diving recklessly around in the sand like a rock n roll footy team, and the band was a cracker, with Jimmy Duke-Younge, later of Bullamakanka on drums. Gordon Waller of the pop duo "Peter & Gordon" fame (Peter Asher was Jane Asher's brother, and the Beatles penned some hit songs for them) was flown out from London to play the Pharoah, (and I later briefly backed him in some Sydney club gigs). John McTernan was dignified and thoroughly professional as the Narrator, and as always Patrick Flynn inspired and terrified as the music director. 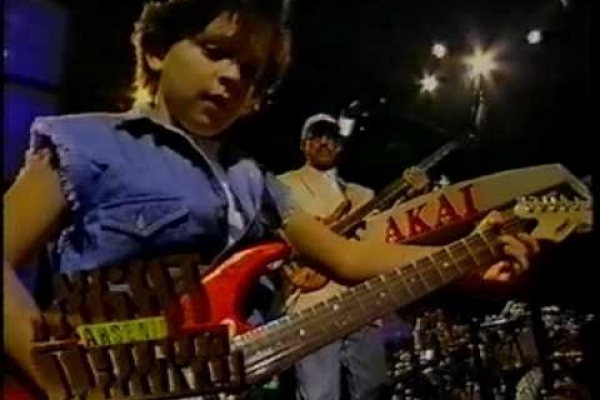 I have a vivid memory of being called on in one devestatingly prominent rehearsal to be the sole music backing on guitar for some long lost reason, and felt very excited and humble to be lowest on the pecking order and playing before that team of outstanding youthful talent and the great Patrick yelling orders. The Lindsay Kemp Company were performing "Flowers" up the road at the New Arts Cinema at Glebe, and a joint cast party was thrown in our foyer which led me to become friends with Andrew Wilson, leading on to another major theatrical experience in Salome. I once was the proud owner of four camels. The attached newspaper clipping is one of the only pictures of my camel adventures to have survived my house fire in 1994. The picture of me and Shanti my younger female Camel was taken in 1984 when I was paid by through an advertising agency to bring the camel team to Sydney for a publicity stunt to get promo for the opening of the Shell Building in North Sydney. A rather eccentric crew crossed Sydney Harbour in a barge with two large blue & gold cut-out palm tress, a half a tonne of white sand, the camels in splendid regalia, and my friend Rodney Gooch (a tribute to whom follows below) and I dressed as fugutives from the Arabian Nights (pre-terrorism and political correctness) and two belly dancers, the late Fairlie Beckner (a Australian middle weight karate champion)and Jennifer Carmen (a mystic and real belly dancer) and a third beautiful woman friend, Samantha Todd - under the harbour bridge (drinking champagne) and alighting near Luna Park. We were to walk the camels up through the centre of North Sydney where I was to play pseudo arabian disco music on borrowed synthesizers and a drum machine for the belly dancers. One of the camels nearly fell in the harbour when we were attempting to disembark. I actually did get on the Channel 9 news as, just after we landed, we were drenched by torrential rain! The "Ships of the Desert" byline was too funny for the news editor to ignore. We appeared at the Shell building every day for a week. Shows were hosted by the glamorous Chelsea Brown, an African-American actress and comedian (who appeared as a regular performer in comedy series Rowan & Martin's Laugh-In with guest roles include appearances in Marcus Welby, M.D., Ironside, Matt Lincoln and, in the UK, The Two Ronnies. She also appeared in the films Sweet Charity, and The Thing with Two Heads. She emigrated to Australia in the 1970s and had ongoing roles in soap operas Number 96 (in 1977), and E Street (in 1990–1991). 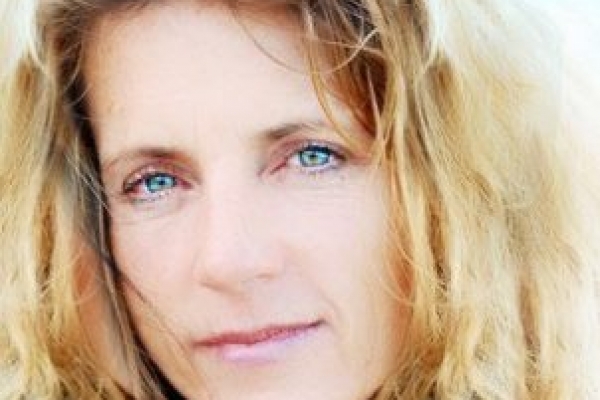 She had a guest role in the Australian-filmed revival of Mission: Impossible (1988). Film roles in Australia include Welcome to Woop Woop, The Return of Captain Invincible. 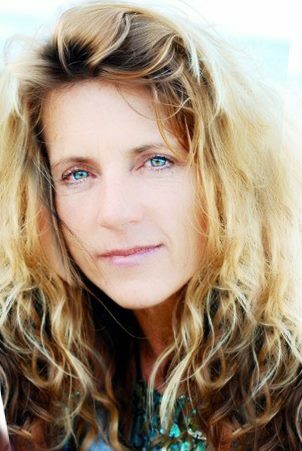 She was married to fellow E Street actor, the late Vic Rooney. Wikipedia). 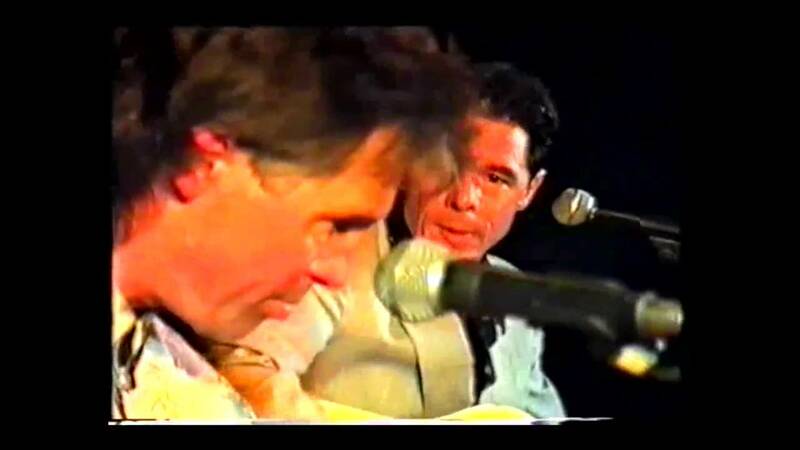 I first met the inimitable Rodney Gooch in the early eighties when I was performing a regular gig as a solo entertainer at a long-defunct restaurant called The Palms in the main street of Bangalow (a small town near Byron Bay on Australia's east coast - I have since made Bangalow my home). Rodney had taken a job as a waiter and his powerful, flamboyant personality, huge hands and Rudolph Nureyev-like face made quite an impression. From conversations I only vaguely recall I have the idea that Rodney was a founding figure in the original Les Girls drag-show (of Kings Cross fame), had appeared on the cover of the international Face magazine, and run a restaurant in London, and ...crossed Australia, from Alice Springs to Byron Bay solo, with a team of camels and a dog. Rodney and I, and a few others, were soon putting on hilarious high camp and rather gothic theatrical productions in this tiny performing space... most notably It's No Picture Show, starring myself, Rodney in drag, the wonderful singer/actress Glenda Lum, and journalist (now media advocacy lecturer) Gerald Frape (with whom I later wrote Goodnight World). One of the pictures in the attached gallery is of me and my friend Robyn Bekker riding in the now historic Oleander Festival in Byron Bay. Back in 1981, I was invited to ride my camels up Jonson Street as part of the Festival Parade and here is an article from the Northern Star with a picture of myself mounted on Bunji the bull camel and Robyn Bekker riding Isabelle. Just after this photo was taken, the fire engine at the head of the parade let off it's siren... the camels took fright and bolted off the street and onto the footpath, galloping down the sidewalk. Have you ever seen a camel gallop? I had to crouch down and actually bumped my head on a shop awning as shocked onlookers scattered in all directions in pandemonium. 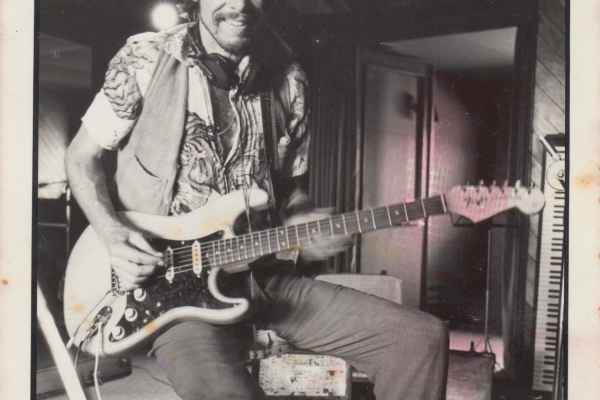 RODNEY GOOCH who in his life of unsung achievements was active and influential in the establishment of the first aboriginal recording studio, assisted the very earliest contemporary aboriginal bands to be recorded and recognised. After facilitating the start up of aboriginal contemporary music, RODNEY is credited with going on to influence the emergence of contemporary aboriginal painting, encouraging and enabling the many artists of Utopia community to pursue international careers in the arts. The late EMILY KAME KNGWARREYE was one of these artists, now regarded as one of Australia’s most significant artists of all time. Rodney also managed the CAAMA shop (the art, craft and music outlet of the Central Australian Aboriginal Media Association) and Utopia Batik, of which he was art co-ordinator from 1987 to 1992. Rodney was an original and a visionary. He had indeed made an epic, year long journey from Alice Springs to Byron Bay with four camels and a dog, crossing the Simpson Desert unassisted (an article was written on this trip by Gerald Frape for Hustler Magazine, long before the film Priscilla Queen of the Desert hit the silver screen, and in my mind Rodney was the true original Priscilla). As I had purchased a small acreage, and Rodney was over his camel adventure I became the guardian of those foot-sore camels. In the coming months I began giving camel-rides at the local markets to subsidise my musical income and became quite a camel expert under Rodney's influence. You could meet the world on the back of a camel in those days. I rode them in local festivals and even began being booked for children's parties! These were only recently wild, feral camels but camel suffer from a maligned reputation . The Gooch and I had many adventures, the most outrageous was that week-long publicity stunt for the opening of that brand new skyscraper in North Sydney - described above. Rodney painted the two tall blue and gold cut-out ply-wood palm trees, and the climax was us crossing under Sydney Harbour Bridge on a sand-filled barge, with the four long-sufferring camels. Helicopter flying overhead, TV cameras whirring, our odd team high on champagne euphoria - but when we reached Luna Park, the tide was low and the camels wouldn't walk up a ramp. Rodney tried to urge our bull camel Bunji up the ramp and he took one disgusted step onto the plank and then nearly fell into the harbour - he lay there with his huge dromedary chest pressed to the barge deck, looking very disgruntled (even for a camel), with his two skinny front legs dangling over, perilously close to the murky harbour water. After much confused disarray, we finally off-loaded onto a small patch of grey sand covered with city detritus clinging to the base of an old stone wall. We mounted on this strip of sand. Then it rained. No, it poured (and thus amusing images of some rather soggy ships-of-the-desert made the Channel 9 News). Rodney booked some music gigs for me around Sydney (the header image is an ad for one of those), and arrived on a camel and rode up the steps and into the hotel, dismounted on some sand on the dance floor he had wheel-barrowed in, and then played a rather strange set of pseduo arabian disco music - but the entry on camel back was a hard act to follow. 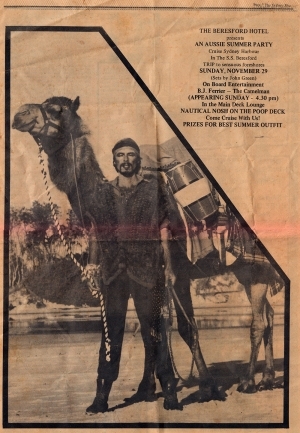 The following year Noel Fullerton's famous camel team was visiting the Gold Coast, and as Rodney knew Noel, he negotiated to put on a camel race in Lismore showgrounds. We borrowed money to finance and promote the event. There is a theme here - It rained again. The distressing outcome was that we had to sell our treasured camel team (they were dispersed to some large rural properties in western NSW to eat thistles) and the saddles to recoup the bank overdaft, so Rodney decided to return to Alice Springs to capture some more camels! Some years passed and Rodney didn't return to Byron, and contact was disjointed. From what I heard later, Rodney began working as a chef to earn some money, but this was also the time when he began his life's work. Rodney had always expressed a desire to make some sort of difference to the plight of Australia's indegenous people. Let's face it - Australia has a sad and sorry record and things have not improved greatly in terms of racism. 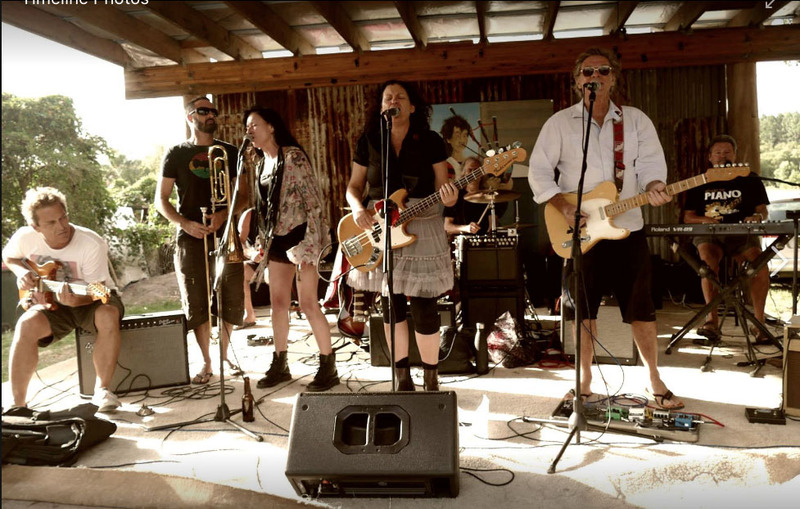 Rodney first hired some local hall and put on a few indigenous rock bands - there was no venue in Alice Springs that would employ aboriginal bands. Rodney did the promotion, collected money on the door to pay the bands, and swept up the broken glass afterwards. These small entrepreneurial ventures were so successful that soon Rodney started working with the fledgling C.A.A.M.A. Radio group, based in a tiny cement block building in the squalid Gap aboriginal camp. During this period the seeds of the contemporary aboriginal music project described below were sown. Rodney then began taking his choice of aboriginal bands to Adelaide to record them, releasing some home-grown cassette tapes, and continued putting on dances for aboriginal communities (who were largely uncatered for in Alice in those days), and even began making some wild, earthy video clips for bands such as the Warumpi Band. 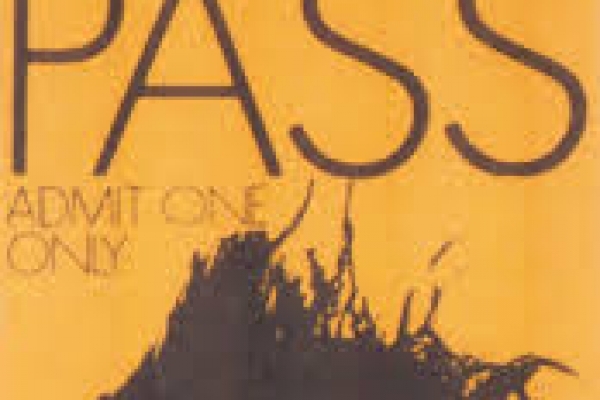 The cassettes had an incredible impact in the aboriginal communities - this was their own contemporary music and it had never been available before. My next contact came when Rodney invited me to Alice to help develop appropriate practical legal contracts between the aboriginal bands and C.A.A.M.A., a project whcih severely annoyed some of the legal profession in Alice, and made me a target at some of the Alice society "do's" I attended - but their legaleze documents were incomprehensible to the parties involved. 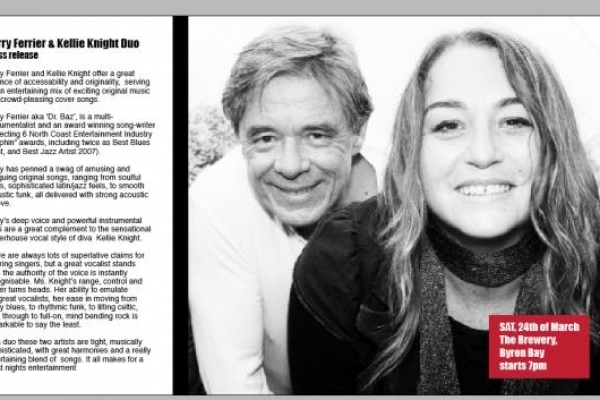 I collected specimen contracts from a broad range of recording and publishing companies in Sydney and Melbourne . I remember early mornings jogging in the green irrigated park in Alice, and physically cutting and pasting documents on the motel room floor (in pre-computer times) with the idea of editing down to the most concise but comprehensive documents I could manage. I finally "translated" this into a parallel explanation in everyday language, which Rodney then had re-translated into various aboriginal languages. He always encouraged a direct approach to problem solving. The success of the music cassettes Rodney produced for C.A.A.M.A. - they went on selling like wild-fire on aboriginal communities across the N.T. - led to C.A.A.M.A. securing a grant to set up an aboriginal recording studio, which Rodney visualised as a mobile unit, travelling to the homelands of contemporary aboriginal music artists. I was employed to research the purchase of equipment for this project and later set it up for Rodney in a small bus he had purchased. This was the first C.A.A.M.A. 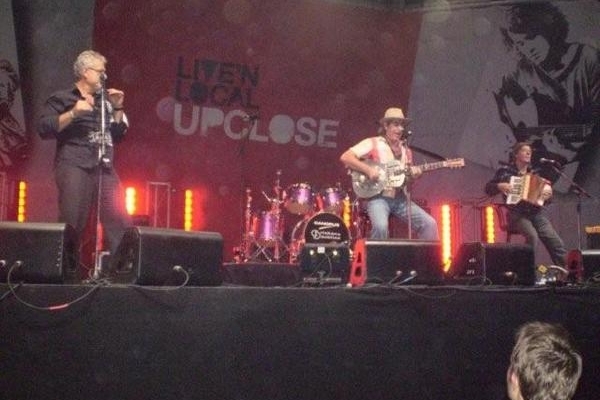 recording studio, and I was immediately sent to record an aboriginal concert in a park in Brisbane. The recording bus was a 'lemon' however. It was eventually abandoned. Rodney next flew me and the equipment, sans bus, to Broome. The equipment somehow ended up in Perth and I spent some time hanging about in pre-development Broome with my four year old son Tirryn. I was billetted in the aboriginal hostel - prossibly the first and only white man to stay there - and my beautiful boy was a blessing in bridge building. After much too-ing and fro-ing I was put in contact with an agent for the Chancellor of the Exchequer of Britain - forgotton his name now - who was buying up big in preparaton for the coming development boom... and it eventuated I was offered a deserted house on the beach out of town, where I set up the recording equipment. There was electricity and fans, and a working toilet, but no stove or furniture, and I cooked outside on a campfire looking down on my own little beach, no humans for miles, and the beach sand was red. That summer I recorded Jimmy Chi's original demos of the songs which became Brand Nue Dae as well as the first recordings of Scrap Metal (now the Pigram Brothers ), and also secret traditional songs performed with solemn dignity by elders of the local community. The weeks flew by and Christmas arrived. While I was home for a Christmas break, the lead singer of Scrap Metal died in a drink driving accident, my aboriginal trainee-engineer Eddie was arrested for apparently bashing someone to death with a star-picket in a drunken fight and meanwhile the precious master tapes we had recorded with such idealism and excitement were stolen by a white 'friend' of the band who thought they would be valuable. (They were eventually recovered, and years later I saw a copy of a finished cassette in an Alice Springs record store). After the dust settled on this episode, the mobile 'recording studio' was finally set up in the concrete-block bunker at Little Sisters camp around the corner from the Gap, in Alice Springs, and the rest is history. Though a history these days that is on a downward trend - the exciting heyday of C.A.A.M.A. Recording a mute memory thanks to Howard Govt cuts to such expensive cultural icons. So, in the whole early history of contemporary aboriginal music, that culminated in the establishment of the big glass-fronted C.A.A.M.A building in the centre of Alice Springs and the success of aboriginal bands, Rodney Gooch was a hugely important historical figure...it was his vision and energy which led to the establishment of a national contemporary aboriginal music presence in the media, a fact which goes largely unsung. His later even more important work with aboriginal visual artists is much better recorded (see below). One could suspect it is because of his status as a gay H.I.V. victim that he is yet to receive the recognition he deserves, for a fabulous, inspiring life, and an immense contribution which paved the way for the acceptance that contemporary Australian aboriginal art and music now enjoys in mainstream culture, a cause to which he consciously dedicated himself over two decades. In time I hope his true historical significance will emerge. Rodney touched many people. I remember him fondly as a flamboyant, larger-than-life, astute, energetic, totally unique individual, with an astounding constitution, able to withstand predigious feats of partying, a strong instinct for and love of visual style, music and culture, and a green thumb that turned the backyard of any place he stayed into an oasis. But if history is just, we will surely remember him as a very practical visionary, and a life-long fighter for the cause he believed in and the Australian aboriginal people he loved. Rodney Gooch: Devoted to bush art. OBITUARY. from the Alice Springs News, Sept 18, 2002. 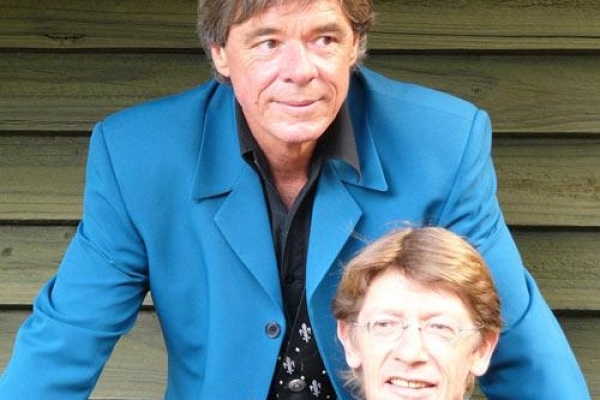 Rodney was born in Adelaide in 1949, one of six siblings. 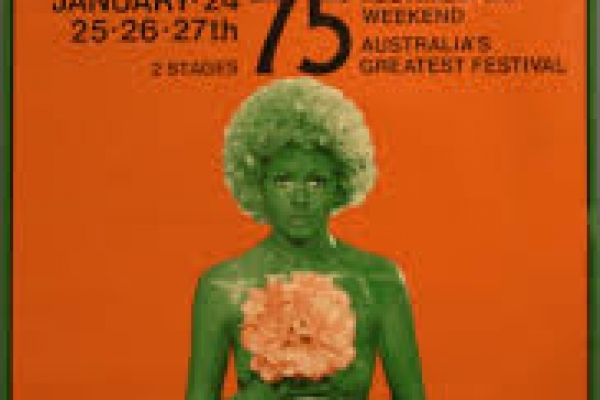 He left home at 17 and lived for a time in Sydney where he first performed as a drag queen, travelled overseas and lived on Norfolk Island before settling in Alice Springs. His first job here was on a camel farm, and his 4500km solo trek from Alice Springs to Byron Bay gave him the title of the original "Queen of the Desert". Rodney is best known for his work with Aboriginal artists and musicians. He originally joined CAAMA for a six-week period and began what became his life's work. He started by encouraging young people from the Gap Youth Centre to become involved in creating artwork for cassette covers for CAAMA Music, and he helped establish the CAAMA Shop. His flamboyance, creativity and energy enthused many others to contribute to the Shop. It grew quickly under his management, providing employment for Aboriginal people and becoming a great drop-in centre and mixing pot for all, both black and white, to talk about art, music and new ideas. In 1987, Rodney was asked to take over the management of the Utopia Women's Batik Group. The women took a shine to Rodney and he to them. Batik had been introduced at Utopia a few years earlier but it wasn't long before Rodney, through CAAMA Shop, was providing art materials to the whole community. A trip to the United States in 1988 with Chris Hodges and the late C. Possum led to a survey of the Utopia artists to see if they would like to try acrylic painting, as US museums and galleries dismissed the batik work as "craft". This survey became known as "A Summer Project", the works later acquired by the Robert Holmes a Court Collection. Rodney provided the first canvases and paints to Utopia artists. He also encouraged people to paint on car doors, and provided wood carving materials, which led to the production of the now famous Utopia wood figures. His flamboyance and enthusiasm was infective and it showed in the freedom and colour that was displayed in the Utopia works. Artists such as Emily Kngwarre, Lindsay Bird, Ada Bird and Gloria Petyarre all commenced painting with Rodney's support. 120 x 84cm $7,000 — 9,000 PROVENANCE Mulga Bore Artists (Rodney Gooch), Utopia, N.T. Company Collection, Melbourne EXHIBITED Switzerland: Gallerie ESF, Lausanne, July 1998; Gallerie Rivolta, Geneva, August 1998. Norway: Galleri Oda, Kristiansand; Galleri Lista Fyr, Borhag; Saviomuseet, Kirkenes; Alta Kunst-Forening, Alta, August to November 1999. In 1998 Rodney donated his personal art collection to a regional gallery in South Australia. His final collection was donated to the Flinders University Art Collection, a gift he organised while he was in hospital. 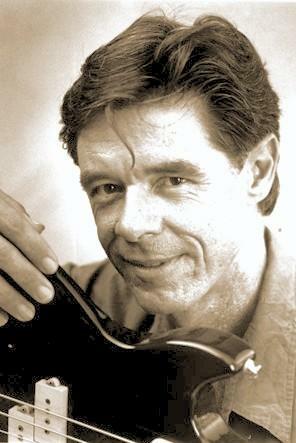 Rodney was also important in the development of CAAMA Music. When CAAMA needed a place to record artists, but had no money, Rodney set about building a mud-brick recording studio at Little Sisters, with the help of many others. This became the place where many Aboriginal singers and bands laid down tracks for CAAMA Music. The artwork, marketing and promotion was done under Rodney's management and it was a huge success. Rodney loved and admired Freda Glynn and Philip Batty, who were running CAAMA during Rodney's time there, and between them they made a great contribution to the media culture of Central Australia. As Rodney's brother Bob Gooch said at his funeral, Rodney's life gives us "a message and example to think about. " Despite the recent decades being known as the era of greed, Rodney was the opposite. "He leaves us all with an example of a happy life, lived to the full, enjoying the simple things, the people, his family, the community." Malcolm Anderson, Mayor Don McDonald, Louise Haigh, Rodney Gooch, Ladies and Gentlemen. "First I'd like to thank Malcolm for his welcome to the country of the Nungis people. In keeping with a tradition of the Council for Aboriginal Reconciliation, I acknowledge the living culture of the Nungis people and the unique role they play in the life of the Mount Gambier region. The reason for us being here tonight is more than just a proud moment for the Riddoch Art Gallery and the people of the South-East region. It's also a significant milestone on the path to reconciliation between Indigenous peoples and the wider Australian community. I'll explain why I say that in a minute, but first I'd like to pay tribute to some of the people who've made it possible for Mount Gambier to become home to this wonderful collection of art. Most of you have probably heard of the gallery's generous benefactor on this occasion, Rodney Gooch. Rodney is widely and rightly hailed for his pioneering work in developing and promoting Indigenous arts in Central Australia. We know that he has cast his net widely in that field over the last couple of decades. For example, he was one of the driving forces behind CAAMA - the Central Australian Aboriginal Media Association. CAAMA has played a leading role in promoting cross-cultural understanding, in providing a voice for many Aboriginal communities, and in supporting the several important Indigenous languages that remain alive in the vast area through which its coverage extends. And CAAMA became a model for what is now a quite impressive network of Indigenous media operations throughout Australia. Rodney Gooch's part in all of that was important and, especially in the early days, courageous. But of course, it's one of his other great pursuits that interest us most here. That is his long-standing and energetic encouragement of Aboriginal artists and, hand in hand with that, his determination to help all Australians to an appreciation of the meaning, the significance, and the artistic merit of Indigenous art. In the course of this labour of love, Rodney built up a significant private collection of the work of the artists of Utopia. It's entirely consistent with his vision that all these exciting and valuable paintings, sculptures, coolamons and other works are now becoming available to the Australian public. I think I can speak on behalf of all Australians interested in cultural diversity and mutual understanding when I pay tribute to the generosity, and the vision, of Rodney Gooch. The question then is, why Mount Gambier? Why the Riddoch Gallery? This is after all one of the most significant gifts to a regional gallery ever made in Australia! I think the answer to that lies in the energy and commitment of your director, Louise Haigh, and the many supporters of the Gallery in Mount Gambier and the surrounding region. I believe Rodney decided quite some time ago that his collection would become available to the Australian public, but he was quite fussy about how it should be cared for and used, especially for the benefit of Australia's children. I know that Riddoch, like most regional galleries, is hardly flush with funds, so it's a feather in Louise Haigh's hat that she was able to meet Rodney's requirements and take on the responsibility for this fine collection. I know that Louise knows she couldn't have done it without specific support for the collection from a number of quarters. The City of Mount Gambier, agencies of the State Government, and Living Health all deserve praise for their ability to see the worth of the collection and ensure it found a home here. I heard also that a couple of months ago, the preparation of this exhibition received a big boost when the local business community and some hundreds of citizens of the region made sure that a fundraising auction was both thoroughly enjoyable and successful in its purpose. It's this last source of support that leads me back to the comment I made about the importance of this occasion to the national process of Reconciliation. The Council I lead will end its life on the first of January, 2001. By then, I believe we will have taken many steps together on the path to reconciliation between Indigenous peoples and other Australians. The Council itself hopes to achieve by that time broad agreement on national documents of reconciliation. These will set out the nation's understanding of the unique place of Aboriginal and Torres Strait Islander peoples as the original inhabitants of this land, acknowledge past injustices, and lay down the steps that still need to be taken to overcome Indigenous disadvantage and achieve true and lasting reconciliation. We also hope to see in place a great network of partnerships, between business, government of all tiers, community organisations and Indigenous communities, established with the prime objective of ridding this land of the gross inequalities that still persist in relation to our Indigenous peoples. There's a third, and I think vitally important, goal for this third and last term of the Council for Aboriginal Reconciliation. It is to support and promote the growth of the People's Movement for Reconciliation. This is the key to maintaining the momentum for true reconciliation beyond the centenary of federation. Less than two years ago, there were about twenty local groups in all of Australia working under the banner of Australians for Reconciliation. Today, there are more than 260, and we want to see that number grow much more. It's at the local level, where people of good will can sit down together and agree on what reconciliation actually means in their communities; where Indigenous and other Australians can learn to appreciate each other's outlooks on life, where they can see what needs to be done and plan to do it, that reconciliation has the greatest meaning. I believe that this people's movement has an unstoppable power. Whatever the political threats that may emerge from time to time, the people will ensure that reconciliation succeeds. It's in that context that I so very warmly welcome the kind of partnerships that led to this great event in Mount Gambier. Your City Council, your business community, your Indigenous community, your private citizens of good will, all came together to make sure this project worked. The fact that this project is a major demonstration of Indigenous culture makes it - and the way it's been brought to fruition - is a highly significant milestone in the path to reconciliation. So it gives me great pleasure and pride, ladies and gentlemen, to declare the Rodney Gooch Collection of the Riddoch Art Gallery, officially open." The Rodney Gooch Collection - the Riddoch Art Gallery The Rodney Gooch Collection of indigenous art from Utopia was a donation of over 200 works of art from Rodney Gooch in 1998. Gooch was a long-time supporter of the aboriginal music and art industries in Central Australia and worked with aboriginal people and organisations for over 20 years. Since 1987 Gooch forged a close relationship with the people of Utopia, which is 240kms north east of Alice Springs, and in the summer of 1988/89 he delivered 100 fresh canvases, acrylic paints and brushes to various artists in Utopia. As a result of this many outstanding indigenous artists began to emerge including Kathleen Petyarre and the late Emily Kame Kngwarreye. Through the generosity of Rodney Gooch, the Riddoch Art Gallery now owns a significant collection of works from Utopia including silk and cotton batiks, sculpture, jewellery, photography and a large number of acrylic paintings. This collection spans two decades and traces the development of the artists of Utopia from relative obscurity to international recognition. Johnny Skiner, Bush Plum Dreaming, c.1992, acrylic on canvas, 165.5 x 44.5 cm. Gift of Rodney Gooch 1998 Collection - Riddoch Art Gallery, Mount Gambier. Janet Kngwarreye, Untitled (Utopia massacre scene), c.1998, acrylic on canvas, Gift of Rodney Gooch, 1998 Collection - Riddoch Art Gallery, Mount Gambier. Over the past decade Aboriginal artists have produced distinguished works because of their individual style and techniques rather than just for their ethnographic importance. Names such as Emily Kame Kngwarreye, Robert Cole and Ronnie Tjampitjinpa have become well know within Australia's art community because of their work's distinctive and exceptional qualities. In a foreword in one of several books on the Utopia art community (artists from the Aboriginal Utopia community in central Australia in the Northern Territory), The Art of Utopia by Michael Boulter, Hodges said: "Looking back over the work that they made since the late 1970s, and in particular the work since 1988, it is clear to me that the most outstanding work goes beyond Aboriginality." He added: "The art transcends specific cultural roots and references and thus becomes meaningful to a much wider audience." Hodges first encountered Utopia artists' work in the contemporary Australian section of the Australian National Gallery. Then he met Rodney Gooch by "accident", (when Gooch was working as) a representative for the Central Australian Aboriginal Media Association (CAAMA), in 1988. Gooch had organised Utopia women's batik group to produce a series of stories as a way to document the culture of their region. This process involved using brushes to apply hot wax artistically on material, such as silk, which was then dyed. Because of the size of pieces such as A Picture Story (2.4m x 1.2m) Gooch needed spaces the size of galleries to exhibit the work. Previously they had been shown in the CAAMA shop, a converted generator shed. Gooch's meeting with Hodges ended his problem of finding a space. They agreed Hodges would exhibit and sell work for the Utopia community in Sydney. Initially the work was shown in his Newtown studio/home. The positive response from this and several temporary exhibitions led him to open a permanent gallery in Stanmore. Soon after the Papunya Tula Artists approached Hodges to be their representative. Consequently, Hodges became a gallery owner "more or less in a response to what they asked me to do for them". So he decided to create the same type of environment he had found productive as an artist starting out. Hodges said: "I believe strongly in the idea of the artist and the gallery working together in representation." EMILY KNGWARREYE (Australian Representative to the 1997 Venice Bienalle). Emily is widely regarded as the most innovative painter to have emerged from the desert painting movement. The evolution of her painting style was nothing short of remarkable. Emily started painting at Utopia at the age of 77 and compressed a brilliant career, comparable to that of other important abstract painters, into eight short years, leaving an impressive body of work behind her. Emily passed away in 1996, but her legacy lives on in the compelling colour, vibrant dotting, and spellbinding gestural brushwork of her paintings. A mid-period gem, its soft colours evoking a sense of desert landscape in bloom, as the Emu hunts for the Mulga seeds heralding the seasonal renewal of the Yams (Emily was the senior custodian of the Yam Dreaming).